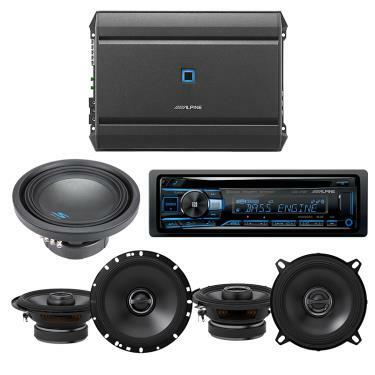 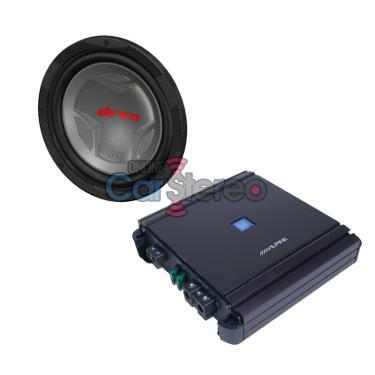 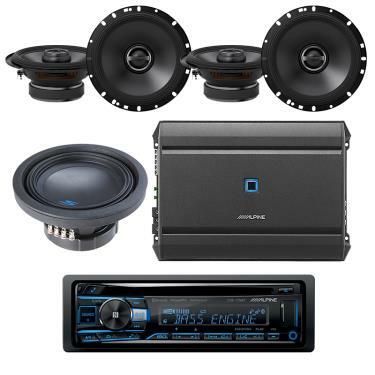 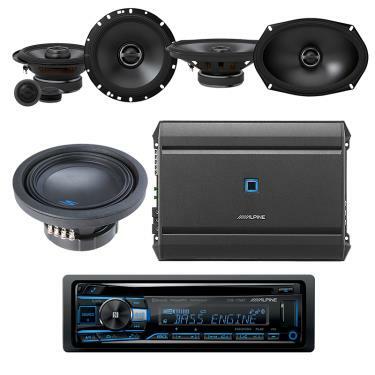 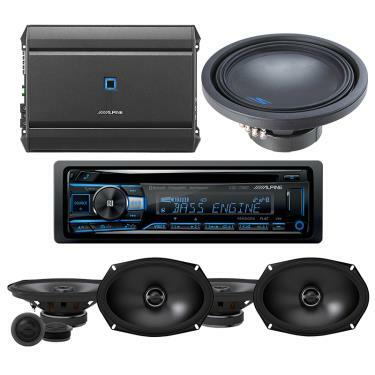 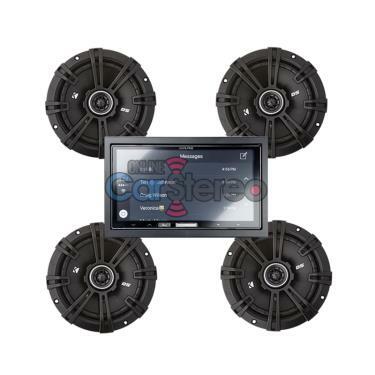 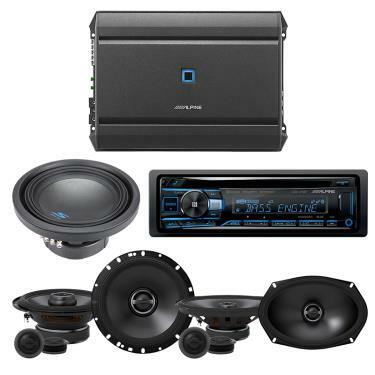 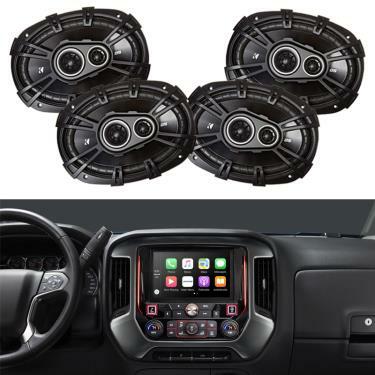 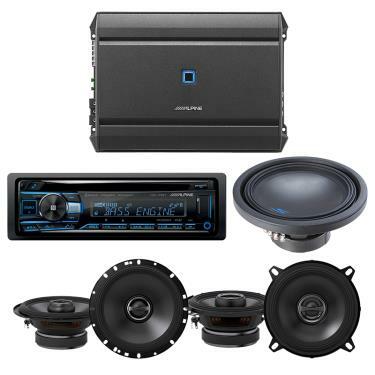 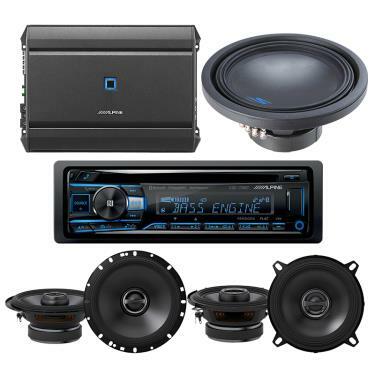 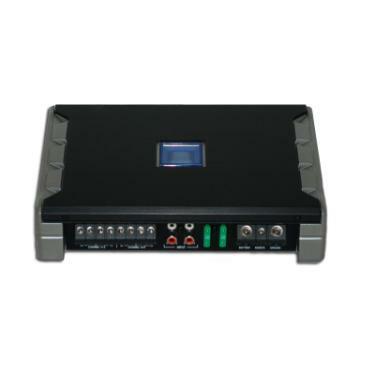 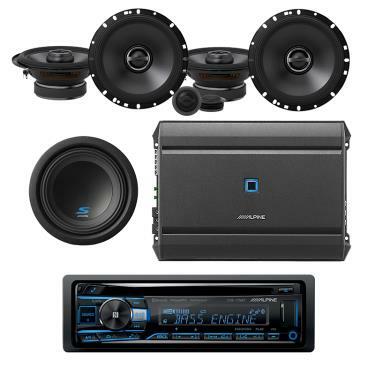 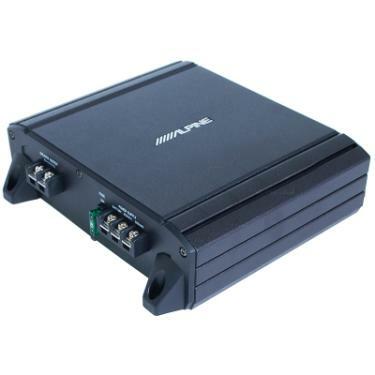 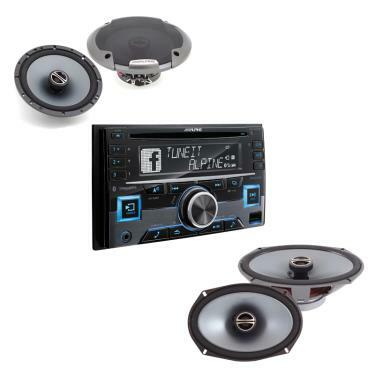 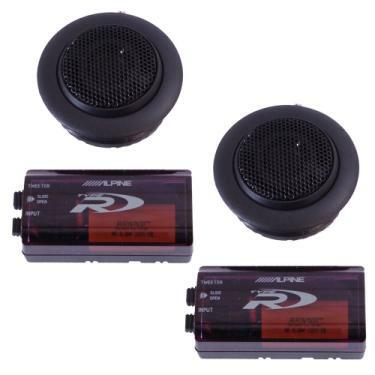 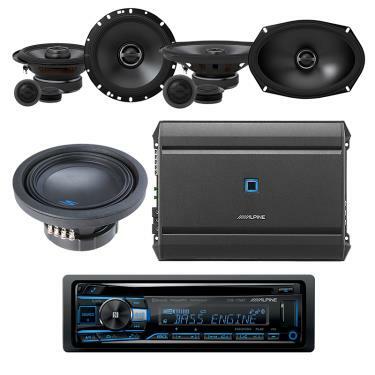 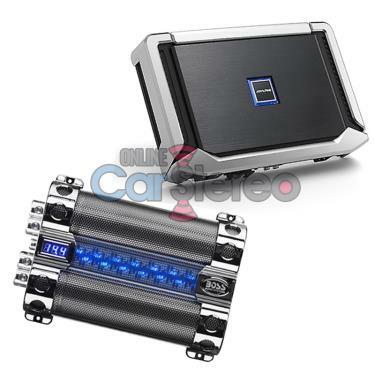 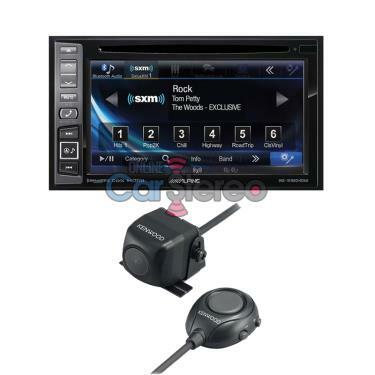 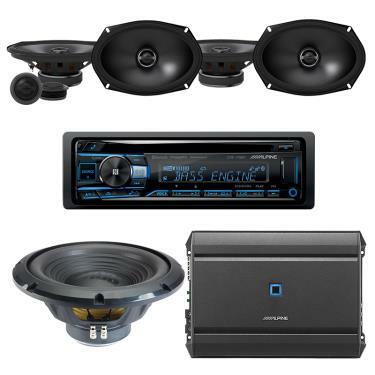 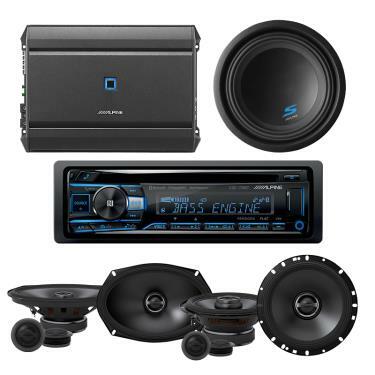 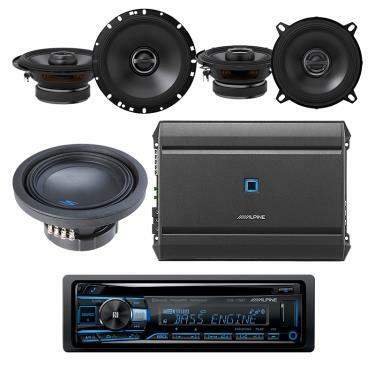 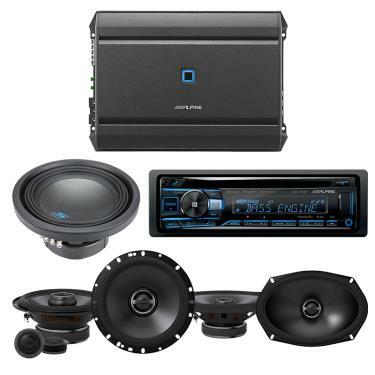 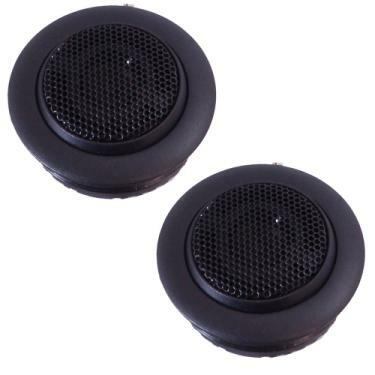 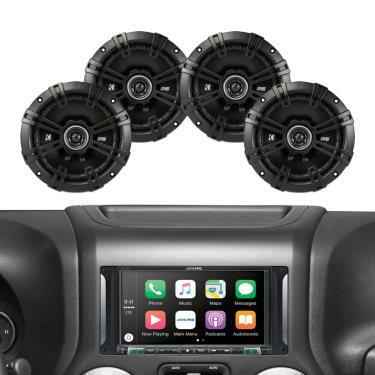 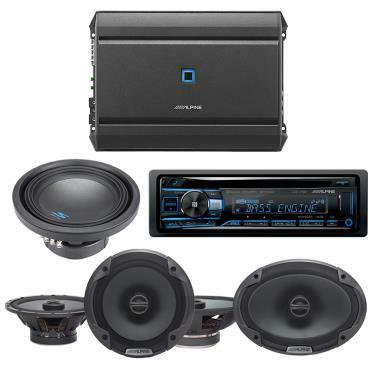 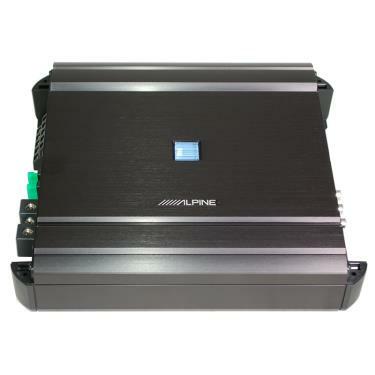 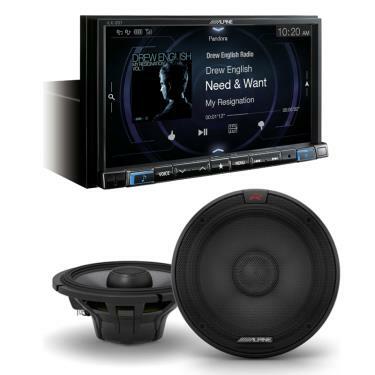 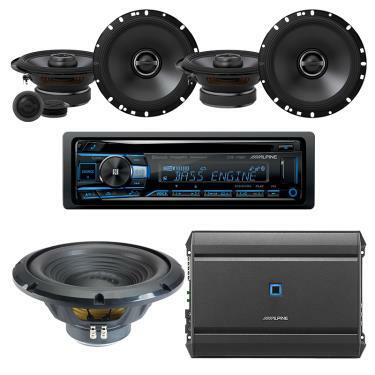 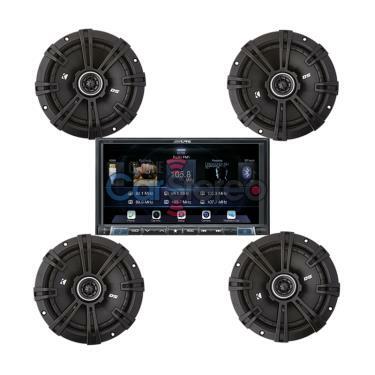 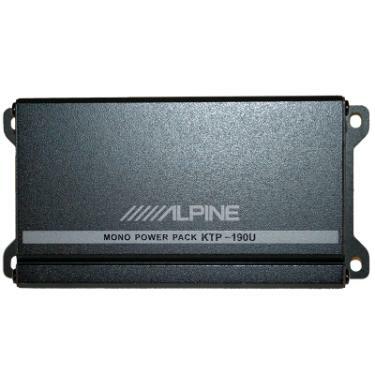 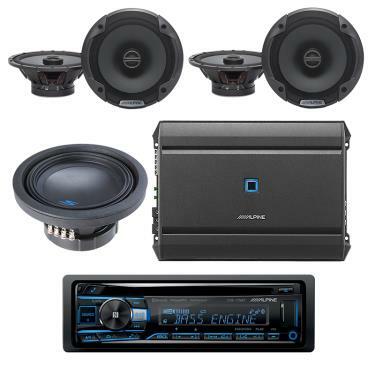 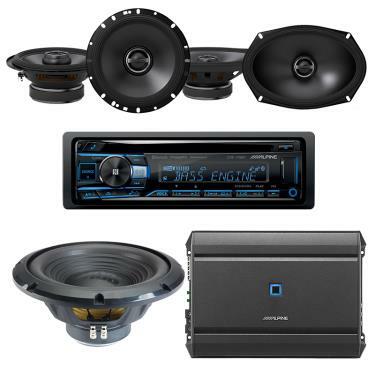 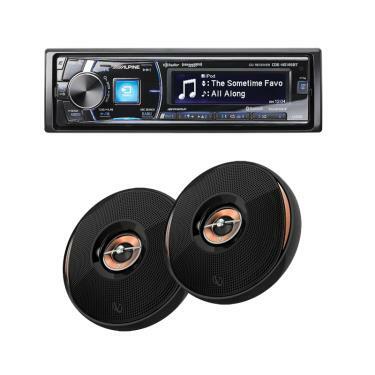 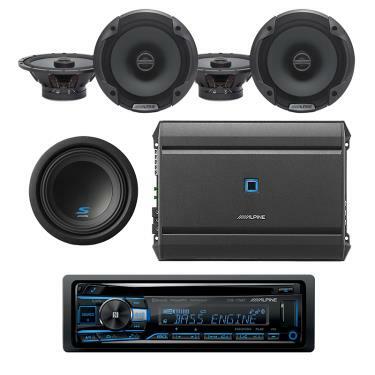 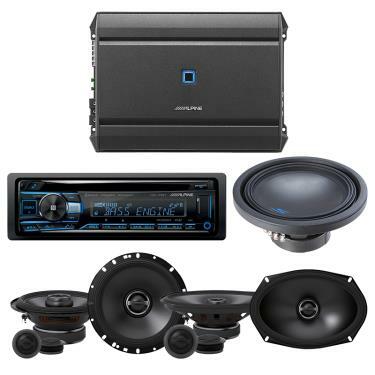 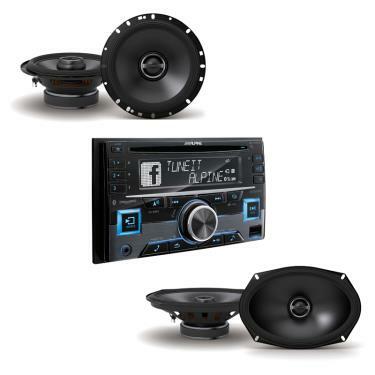 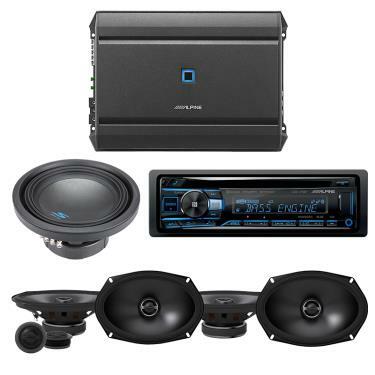 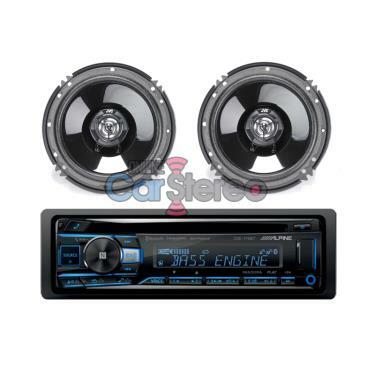 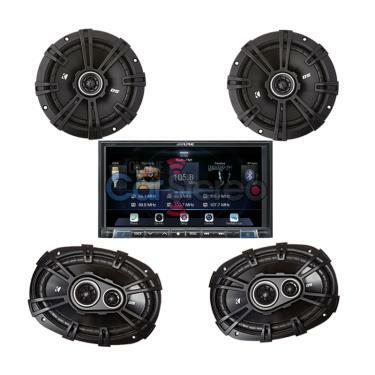 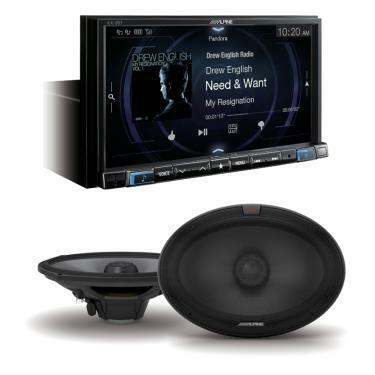 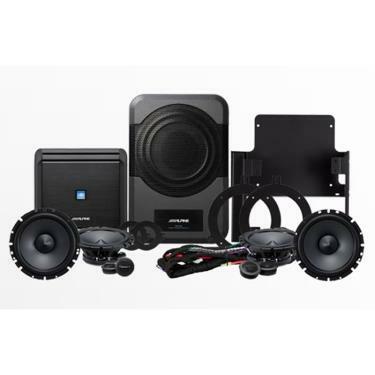 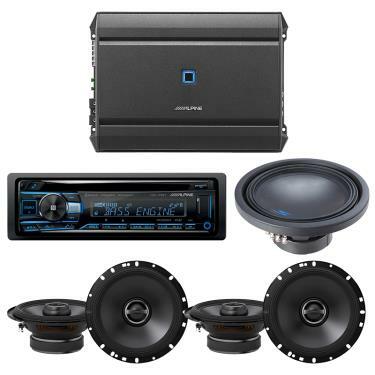 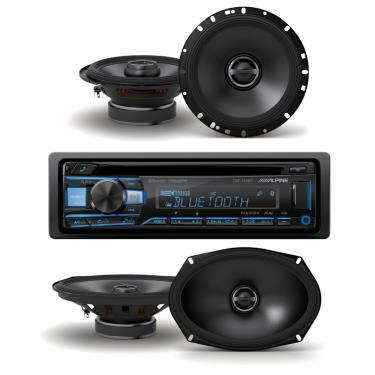 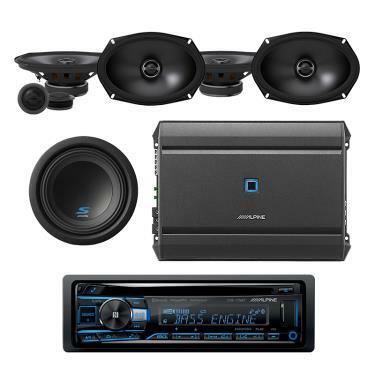 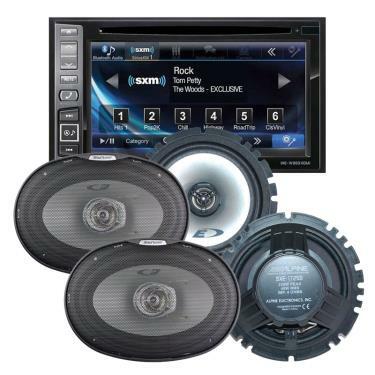 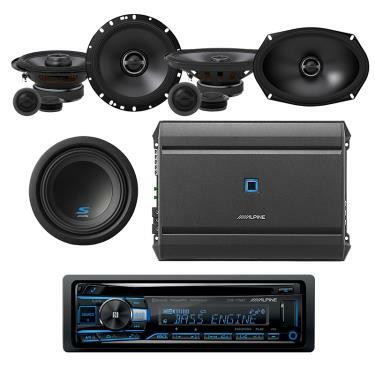 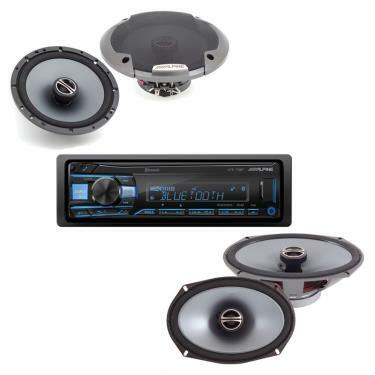 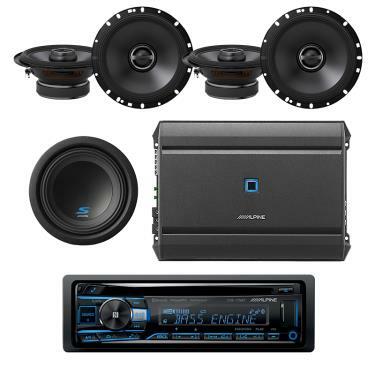 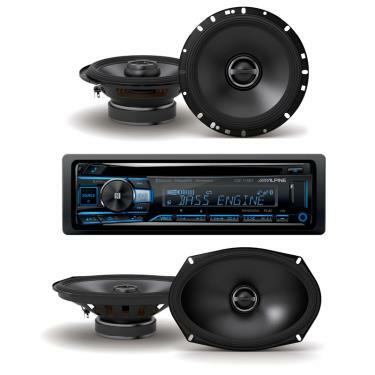 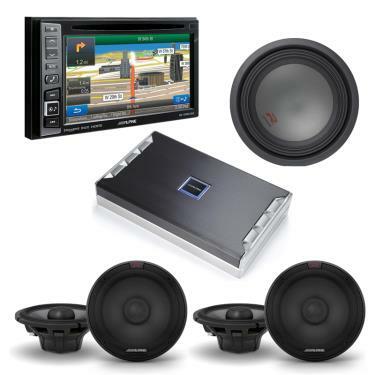 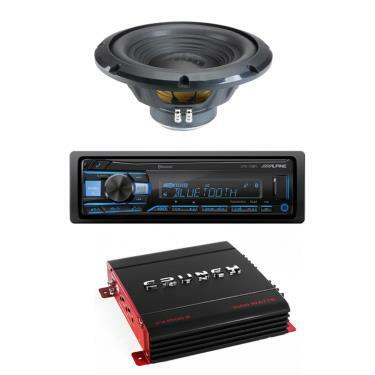 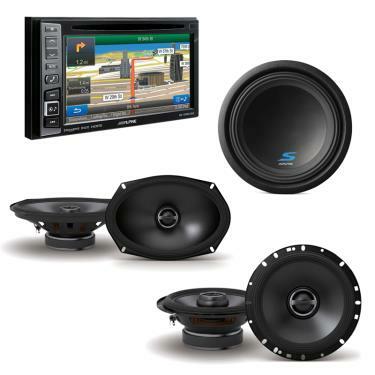 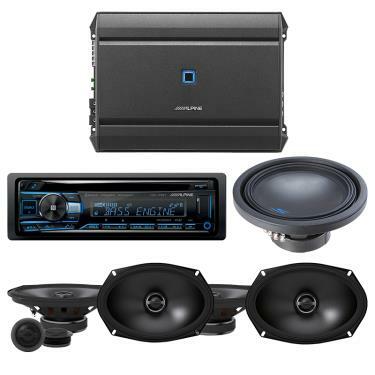 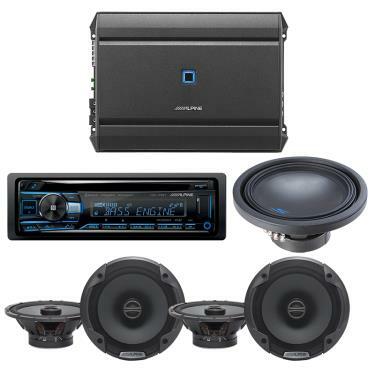 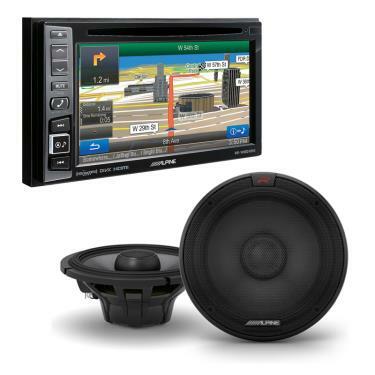 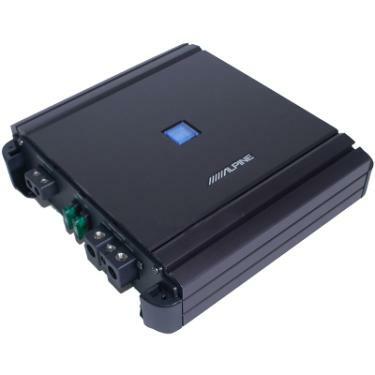 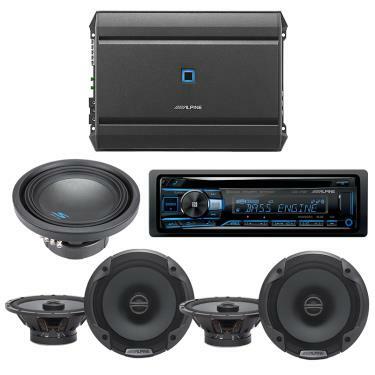 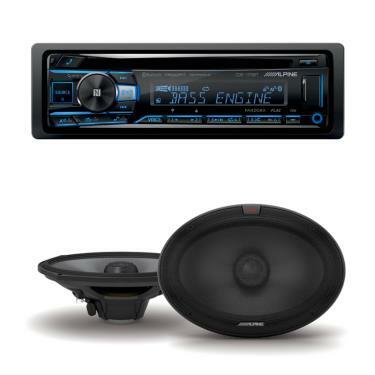 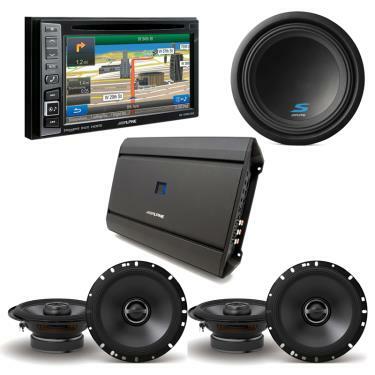 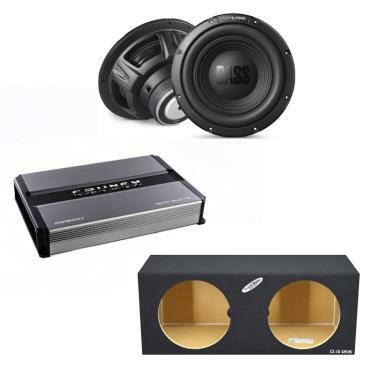 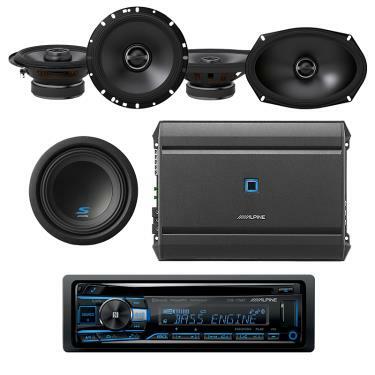 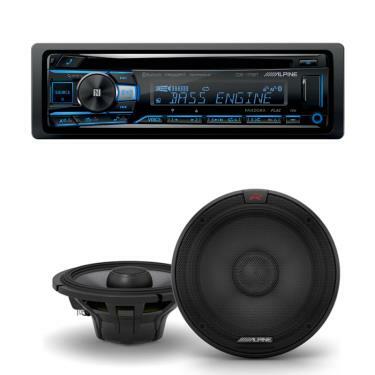 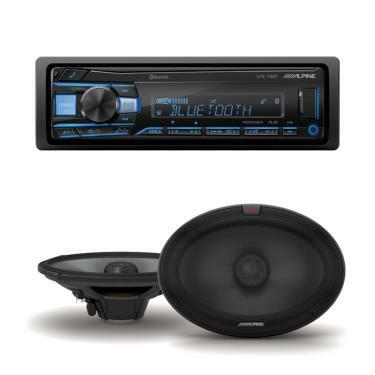 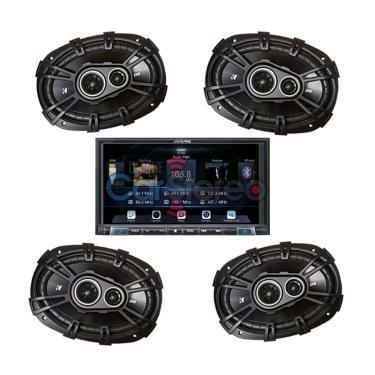 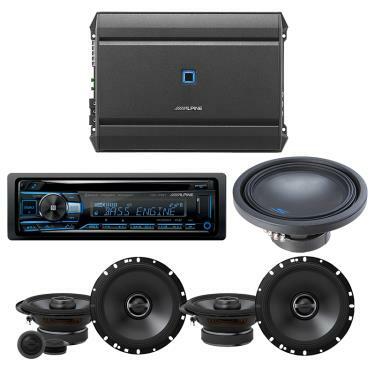 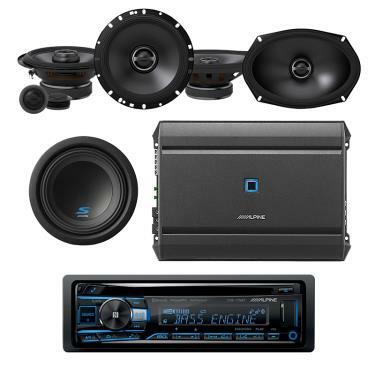 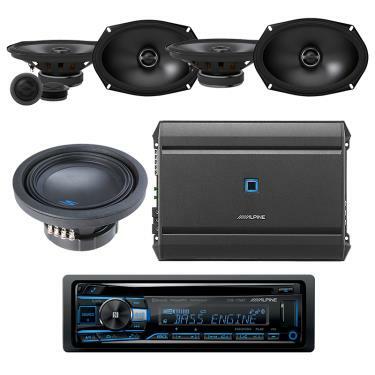 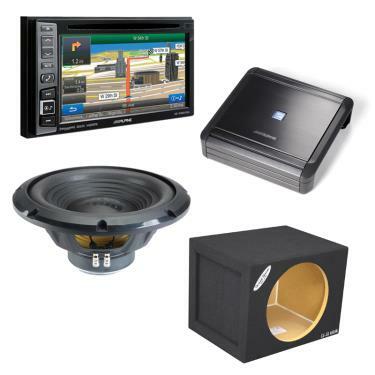 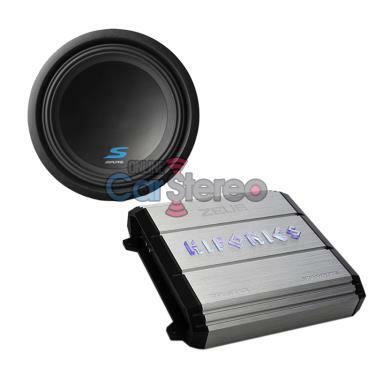 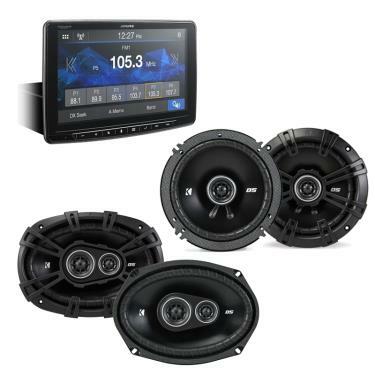 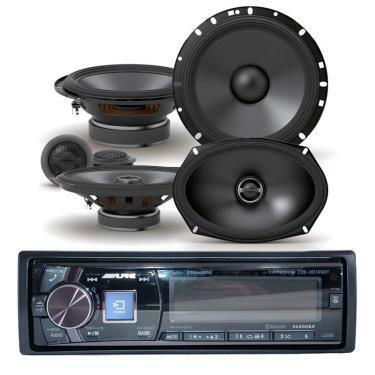 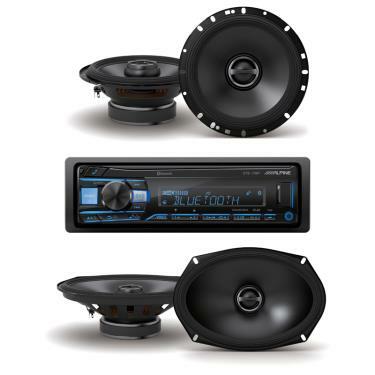 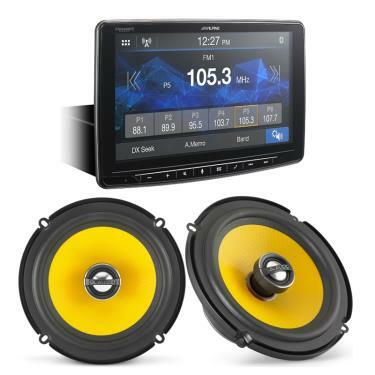 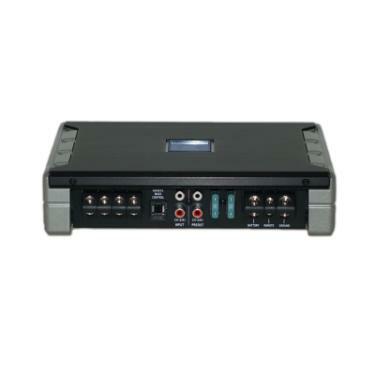 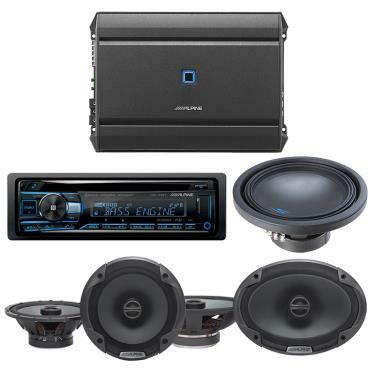 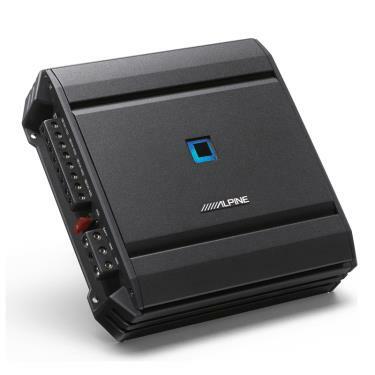 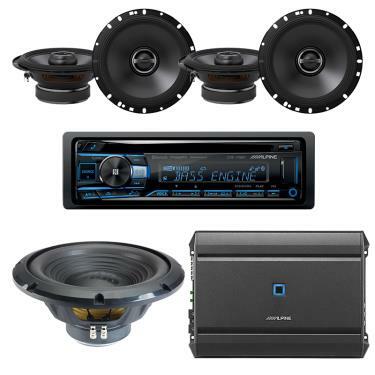 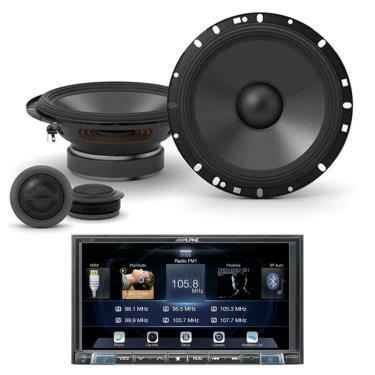 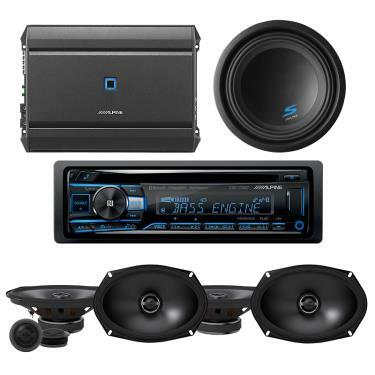 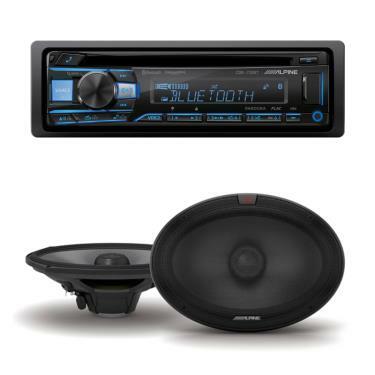 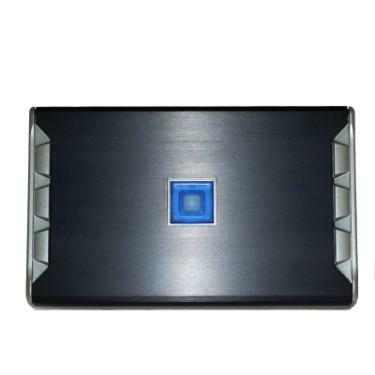 Alpine CDE-172BT-Bundle Alpine CDE-172BT + Alpine R-S65.2 - Exclusive Car Stereo Package..
Alpine CDE-172BT-Bundle2 Alpine CDE-172BT + Alpine R-S69.2 - Exclusive Car Stereo Package..
Alpine CDE-172BT-Bundle3 Alpine CDE-172BT + Alpine S-S65 + Alpine S-S69 - Exclusive Car Stereo Package..
Alpine CDE-175BTCS-DR620 Alpine CDE-175BT Single DIN In-Dash Bluetooth Car Stereo Receiver + JVC CS-DR620 6.5" 300W Max 2-Way Coaxial Car Speakers..
Alpine CDE-175BT-Bundle Alpine CDE-175BT + Alpine R-S65.2 - Exclusive Car Stereo Package..
Alpine CDE-175BT-Bundle2 Alpine CDE-175BT + Alpine R-S69.2 - Exclusive Car Stereo Package..
Alpine CDE-175BT-Bundle3 Alpine CDE-175BT + Alpine S-S65 + Alpine S-S69 - Exclusive Car Stereo Package..
Alpine CDE-HD149BT-Bundle Alpine CDE-HD149BT + Infinity Kappa-62IX - Exclusive Car Stereo Package..
Alpine CDE-W265BT-Bundle Alpine CDE-W265BT + Alpine S-S65 + Alpine S-S69 - Exclusive Car Stereo Package..
Alpine CDE-W265BT-Bundle2 Alpine CDE-W265BT + Alpine SPE-6090+ Alpine SPE-6000 - Exclusive Car Stereo Package..
Alpine CDEHD149BT-SS65C-SS6 Alpine CDE-HD149BT Single-DIN Bluetooth Car Stereo w/ HD Radio, Premium LCD Display & SiriusXM Ready + Alpine S-S65C 6.5" 240 Watts Peak Power Component Speaker + Alpine S-S69 6x9" 260Watts Peak Power Speaker BUNDLE..
Alpine i207-WRATwo43DSC Alpine i207-WRA 7" Digital Multimedia Bluetooth Receiver for Select 2007-17 Jeep Wrangler and Wrangler Unlimited + Two Kicker 43DSC6504 6-1/2" 2-Way Car Speakers..
Alpine i209-GM43CSS654 Alpine i209-GM 9" Digital AM/FM Receiver for Select 2014-18 GMC Sierra and Chevrolet Silverado + Kicker 43CSS654 6.5" Component System with .75-inch (20mm) tweeters + Kicker 43CSC654 600W Peak (200W RMS) 6-1/2" CS Series 2-Way Coaxial Speakers..
Alpine i209-GMTwo43DSC6 Alpine i209-GM 9" Digital AM/FM Receiver for Select 2014-18 GMC Sierra and Chevrolet Silverado + Two Kicker 43DSC69304 720 Watts Peak 6x9" 3-Way Coaxial Car Speakers..
Alpine iLX-107Two43DSC6 Alpine iLX-107 7" 2-DIN In-Dash Digital Media Receiver + Two Kicker 43DSC6504 6-1/2" 2-Way Car Speakers..
Alpine ILX-107-Bundle Alpine ILX-107 + Alpine R-S65.2 - Exclusive Car Stereo Package..
Alpine ILX-107-Bundle2 Alpine ILX-107 + Alpine R-S69.2 - Exclusive Car Stereo Package..
Alpine iLX-20743DSC6504 Alpine iLX-207 7" Digital Media Receiver + Kicker 43DSC6504 6-1/2" 2-Way Car Speakers + Kicker 43DSC69304 720 Watts Peak 6x9" 3-Way Coaxial Car Speakers..
Alpine iLX-207Two43DSC6 Alpine iLX-207 7" Digital Media Receiver + Two Kicker 43DSC6504 6-1/2" 2-Way Car Speakers..
Alpine iLX-207Two43DSC6 Alpine iLX-207 7" Digital Media Receiver + Two Kicker 43DSC69304 720 Watts Peak 6x9" 3-Way Coaxial Car Speakers..
Alpine ILX-207-Bundle Alpine ILX-207 + Alpine R-S65.2 - Exclusive Car Stereo Package..
Alpine ILX-207-Bundle2 Alpine ILX-207 + Alpine R-S69.2 - Exclusive Car Stereo Package..
Alpine ILX-207-S-S65C-PKG Alpine iLX-207 7" Mech-Less AV Digital Media Receiver with Android Auto and Apple CarPlay + Alpine S-S65C 6.5" 240 Watts Peak Power Component Speaker BUNDLE..
Alpine iLX-F259-Bundle Alpine iLX-F259 + JL Audio C1-650x Exclusive Car Stereo Package..
Alpine iLX-F259-Bundle2 Alpine iLX-F259 + Kicker 43DSC6504 + Kicker 43DSC69304 Exclusive Car Stereo Package..
Alpine INE-W960HDMICMOS- Alpine INE-W960HDMI 6.1" Navigation CD/DVD Bluetooth Car Receiver + Kenwood CMOS-320 Universal Multiview Rear Camera w/ Electronic Iris System and CMOS Optics..
Alpine INE-W960HDMI-Bundle Alpine INE-W960HDMI + Alpine R-S65.2 - Exclusive Car Stereo Package..
Alpine INE-W960HDMI-Bundle2 Alpine INE-W960HDMI + Alpine MRV-M500 + Alpine W12S4 + Ground Shaker SQ112 - Exclusive Car Stereo Bass Package..
Alpine INE-W960HDMI-Bundle3 Alpine INE-W960HDMI + Two Alpine R-S65.2 + Alpine R-W12D2 + Alpine PDR-V75 Exclusive Car Stereo Package..
Alpine INE-W960HDMI-Bundle4 Alpine INE-W960HDMI + Two Alpine S-S65 + Alpine S-W12D2 + Alpine S-A55V Exclusive Car Stereo Package..
Alpine INE-W960HDMI-Bundle5 Alpine INE-W960HDMI + Alpine R-S65.2 + Alpine R-S69.2 + Alpine R-W12D2 + Alpine PDR-V75 Exclusive Car Stereo Package..
Alpine INE-W960HDMI-Bundle6 Alpine INE-W960HDMI + Alpine S-S65 + Alpine S-S69 + Alpine S-W12D2 Exclusive Car Stereo Package..
Alpine INE-W960HDMI-PKG 6.1" Navigation CD DVD Bluetooth Car Receiver with SiriusXM Tuner + FREE Alpine PCAM-BULK Universal Rearview Backup Camera - EXCLUSIVE PROMO PACKAGE..
Alpine INE-W960HDMI-PKG1 Alpine INE-W960HDMI 6.1" Navigation CD DVD Bluetooth Car Receiver with SiriusXM Tuner + Power Acoustik PMD-103X 10.3” Wide Ceiling Mount Monitor..
Alpine INE-W960HDMI-PKG2 Alpine INE-W960HDMI 6.1" Navigation CD DVD Bluetooth Car Receiver with SiriusXM Tuner + Power Acoustik PMD-90 Ceiling Mount 9" WIIDE TFT-LCD Monitor and DVD Player EXCLUSIVE PACKAGE!.. 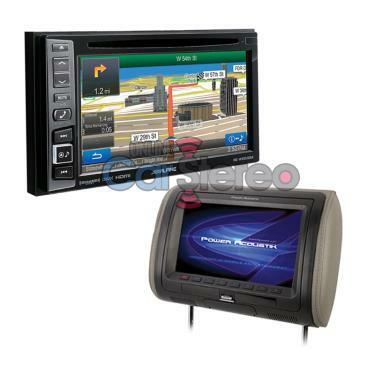 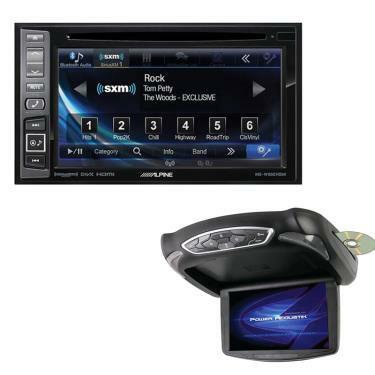 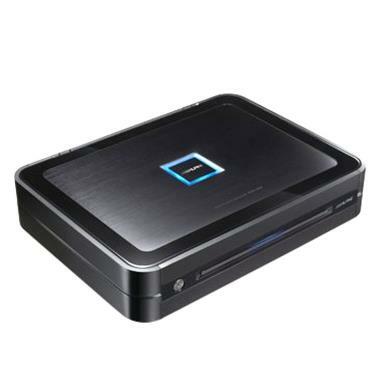 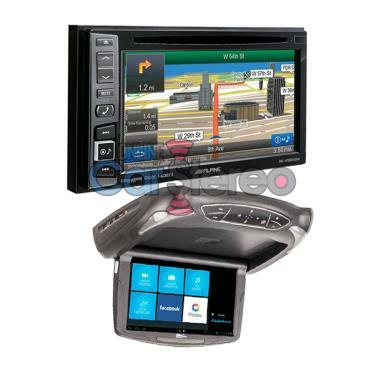 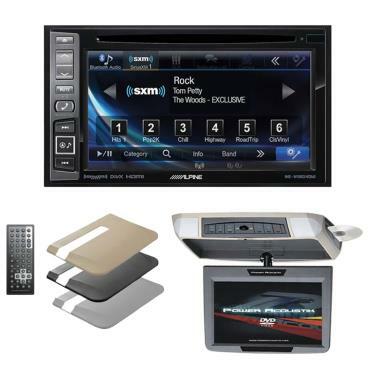 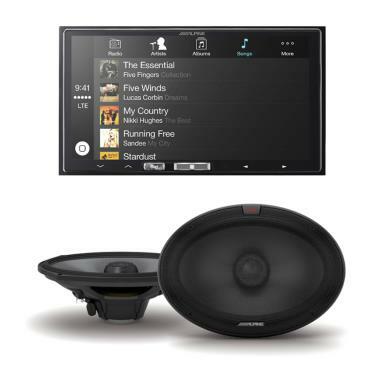 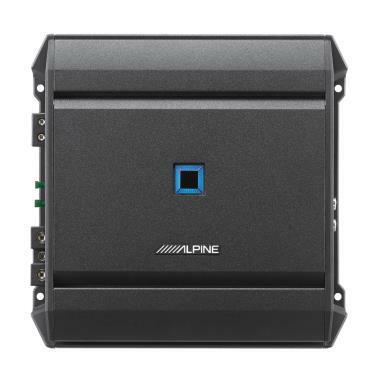 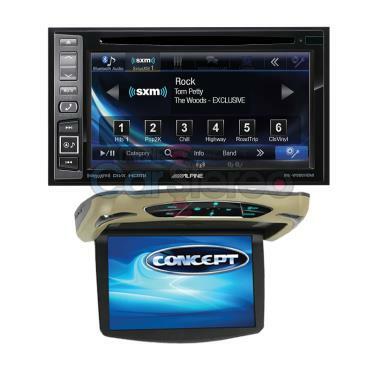 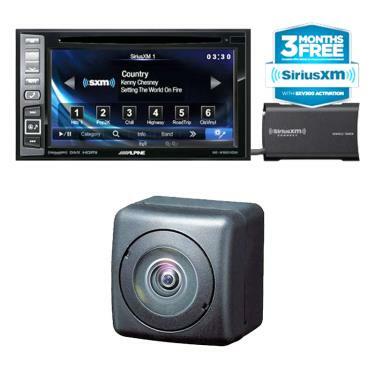 Alpine INE-W960HDMI-PKG3 Alpine INE-W960HDMI 6.1" Navigation CD DVD Bluetooth Car Receiver with SiriusXM Tuner + Concept CFD-135M 13.3" Flipdown Video Monitor..
Alpine INE-W960HDMI-PKG4 Soundstream VRN-DD7HB 2-DIN Dual 7" LCD AM/FM Touchscreen Receiver + Concept CFD-105M 10.1" Flipdown Video Monitor..
Alpine INE-W960HDMI-PKG5 Alpine INE-W960HDMI 6.1" Navigation CD DVD Bluetooth Car Receiver with SiriusXM Tuner + Power Acoustik H-91CC Headrest Replacement with 9" High Resolution LCD Touchscreen Display..
Alpine INE-W960HDMI-PKG6 Alpine INE-W960HDMI 6.1" Navigation CD DVD Bluetooth Car Receiver with SiriusXM Tuner + Power Acoustik H-71CC Headrest Replacement with 7" High Resolution LCD Touchscreen Display..
Alpine KTA-30FW 4-Channel 300 Watts Tough Power Pack Car Amplifier..
Alpine KTA-30MW 300 Watts Power Mono Tough Power Pack Car Amplifier..
Alpine KTA-450 50 Watts x 4 4-Channel Class D Power Pack Amplifier with PowerStack Capability..
Alpine KTP-190U 90W (RMS) Compact Mono Power Amplifier..
Alpine MRV-M250 250W Monoblock Class-D V-Power Series Car Audio Amplifier..
Alpine MRV-M500 500W V-Power Series Class D Monoblock Digital Amplifier..
Alpine MRV-M500CS-GD1210 Alpine MRV-M500 500W V-Power Series Class D Monoblock Digital Amplifier + JVC CS-GD1210 12" 1400W Max Power 4-Ohm Car Audio Subwoofer ..
Alpine MRV-V500 5-ch V-Power Digital Amplifier 40W(RMS) x 4 + 150W(RMS) x 1..
Alpine MRVM500-PKG Alpine MRV-M500 500W V-Power Series Class D Monoblock Digital Amplifier + 2 PCS of Alpine W12S4 750 Watts Max Power 12" BassLine Series Single 4 ohm Car Subwoofer BUNDLE..
Alpine MRVM500-W10S4(2X)-PK Alpine MRV-M500 500W V-Power Series Class D Monoblock Digital Amplifier + 2 PCS OF Alpine W10S4 750 Watts Max Power 10" BassLine Series Single 4 ohm Car Subwoofer BUNDLE..
Alpine PDR-F50 500W PDR Series 4/3/2 Channel Class D Digital Amplifier ..
Alpine PDR-M65 650W RMS PDR Series Monoblock Class D Amplifier ..
Alpine PDR-V75 5-channel car amplifier — 75 watts RMS x 4 at 4 ohms + 350 watts RMS x 1 at 2 ohms..
Alpine PDR-V75-Bundle Alpine PDR-V75 + Two Alpine R-S65 + Alpine R-W12D2 Exclusive Bundle..
Alpine PDR-V75-Bundle2 Alpine PDR-V75 + Alpine R-S65.2 + Alpine R-S69.2 + Alpine R-W12D2 Exclusive Bundle..
Alpine PDR-V75-Bundle3 Alpine PDR-V75 + Two Alpine R-S69.2 + Alpine R-W12D2 Exclusive Bundle..
Alpine PDR-V75-Bundle4 Alpine PDR-V75 + Alpine R-S65C.2 + Alpine R-S65.2 + Alpine R-W12D2 Exclusive Bundle..
Alpine PDX-V9 1600W Max, 5-Channel PDX Series Car Amplifier ..
Alpine PSS-20WRA Direct-fit Complete Speaker Restyle System for select 2007-2014 Jeep Wrangler Unlimited Models..
Alpine PSS-21WRA 320 Watt Sound System for 2015-2017 Jeep Wrangler Unlimited..
Alpine PSS-22WRA Weather Resistant Packaged Sound System For Jeep Wrangler 2015-2018 - NOW IN STOCK! 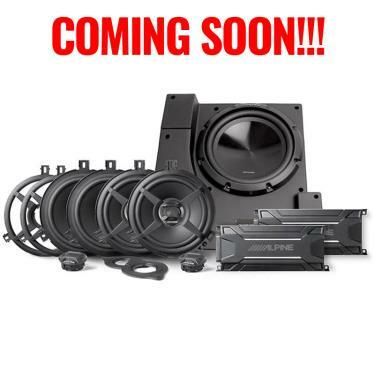 HURRY!!! 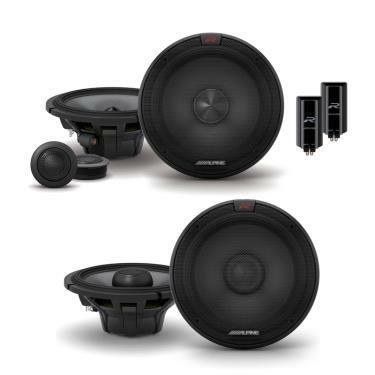 LIMITED SUPPLIES ONLY!!!.. 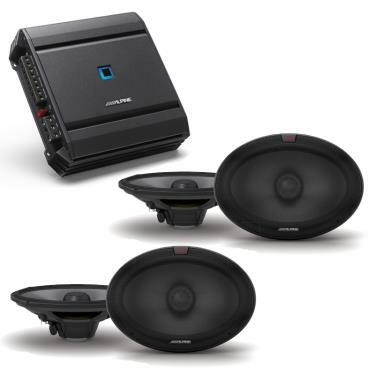 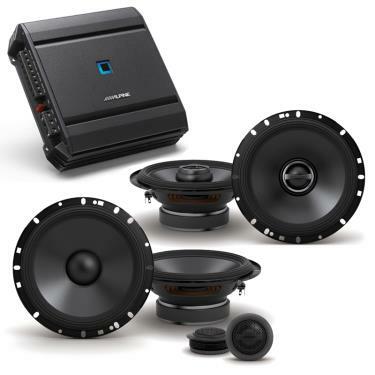 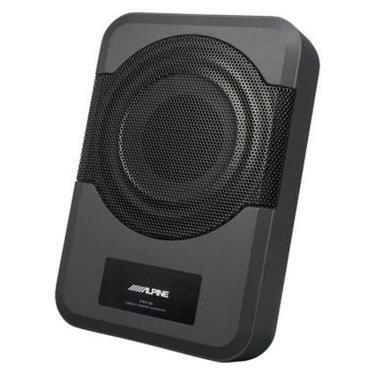 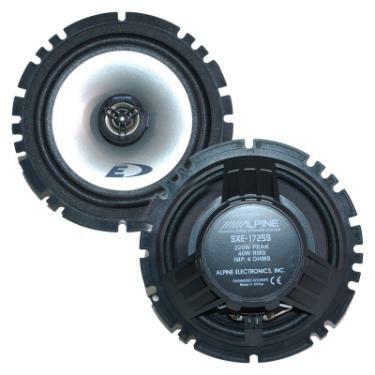 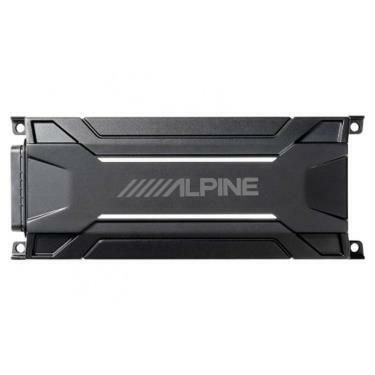 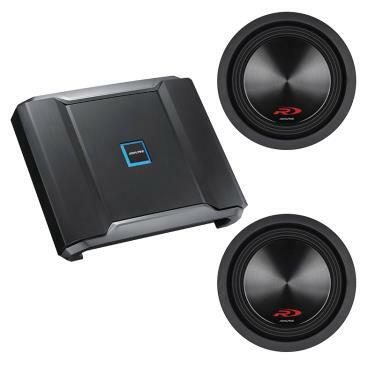 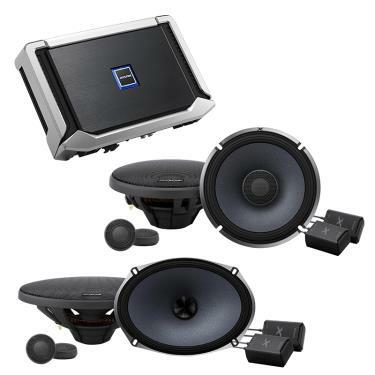 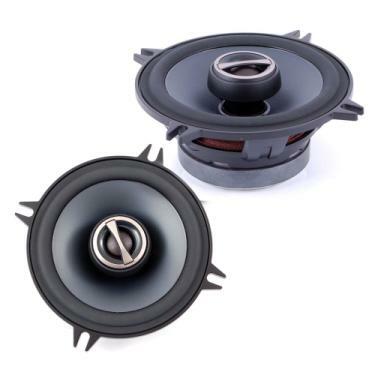 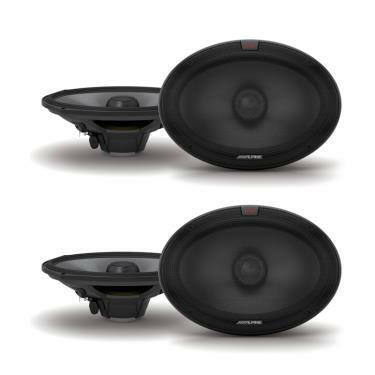 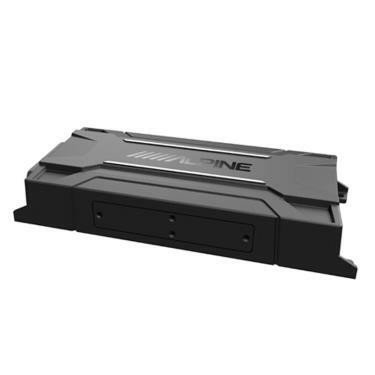 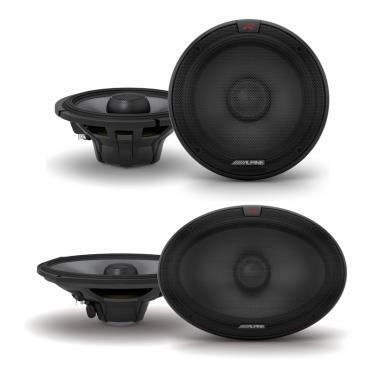 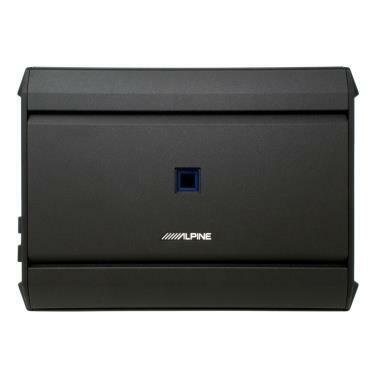 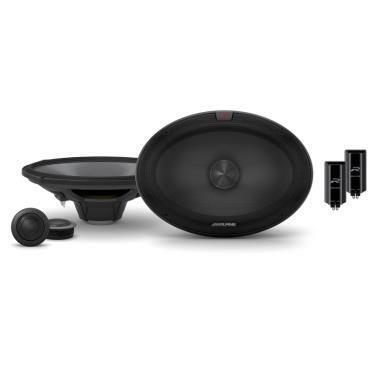 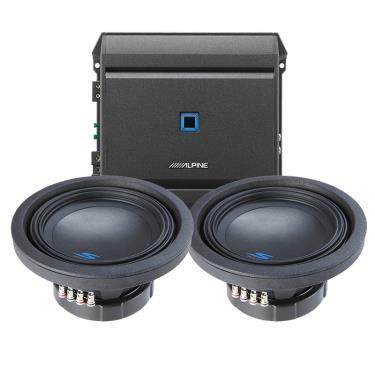 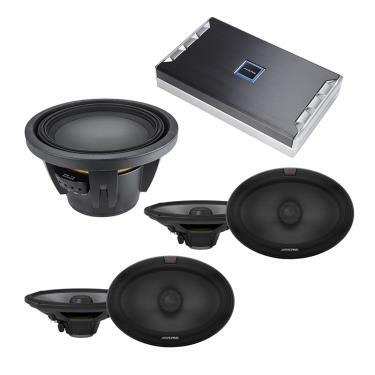 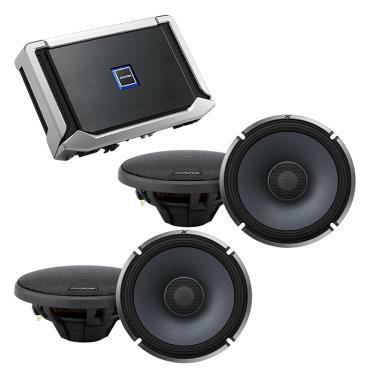 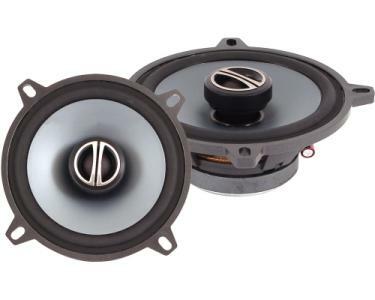 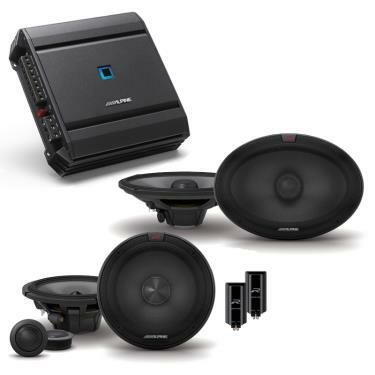 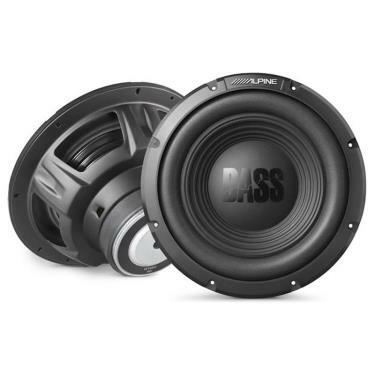 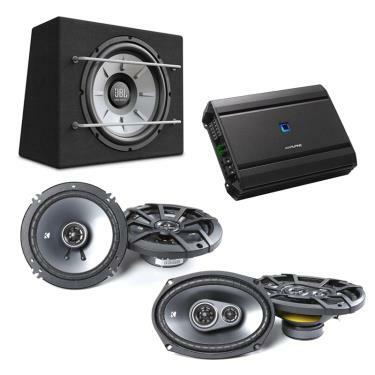 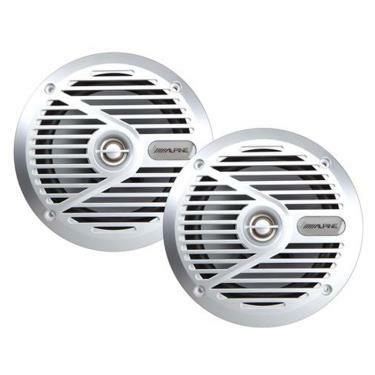 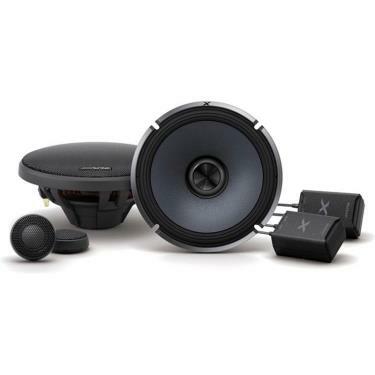 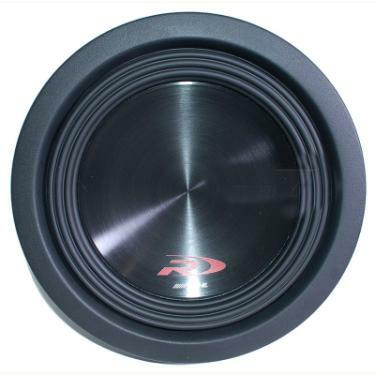 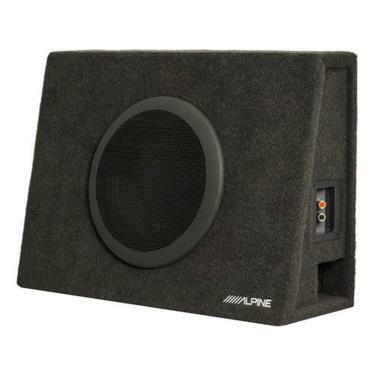 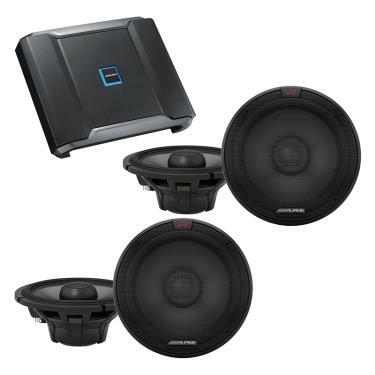 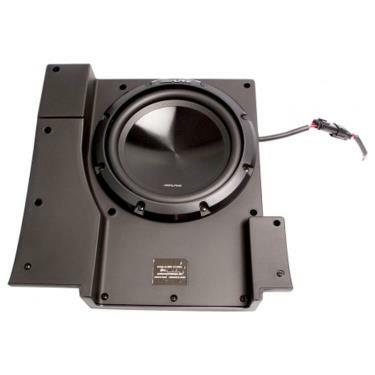 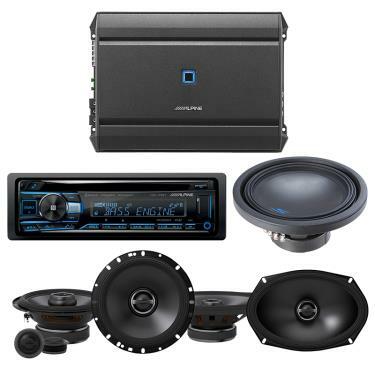 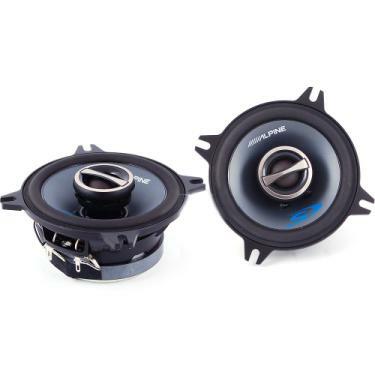 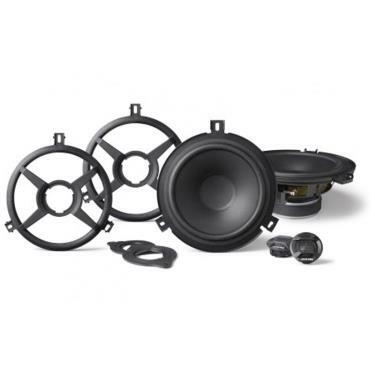 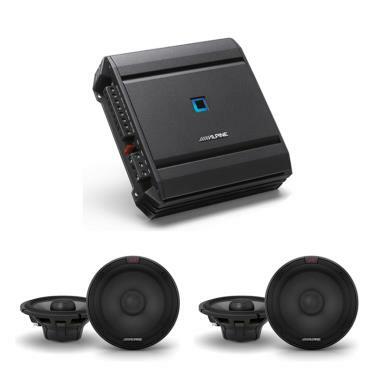 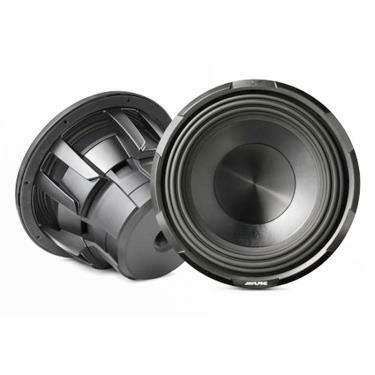 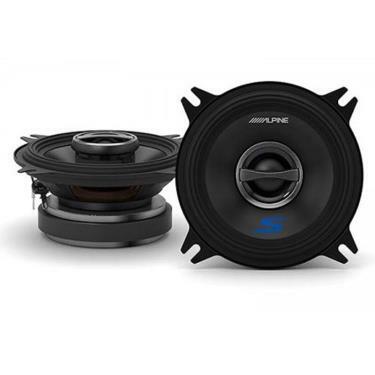 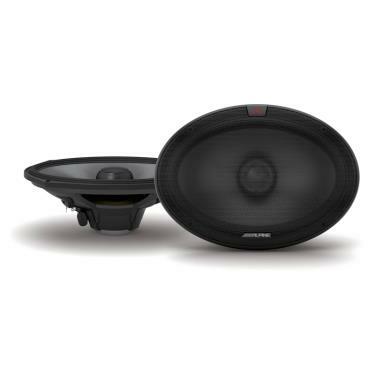 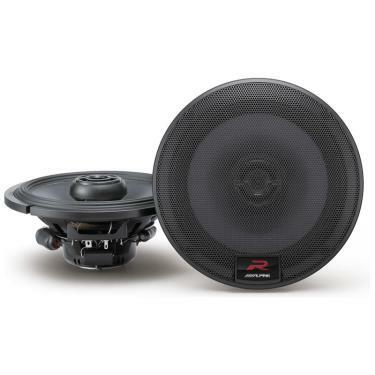 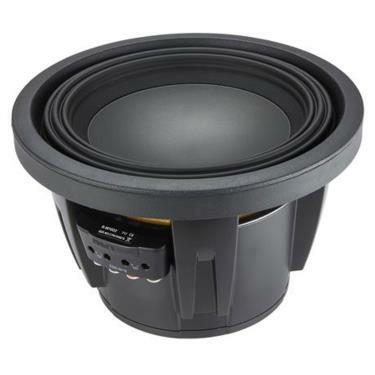 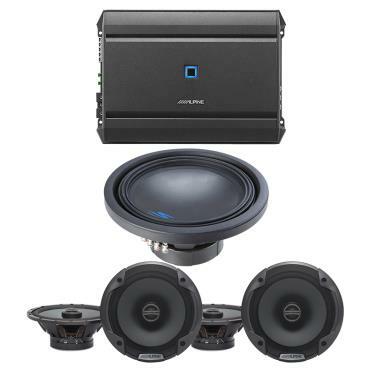 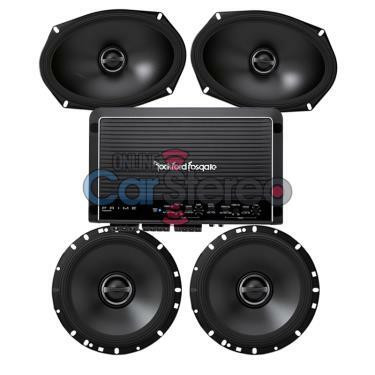 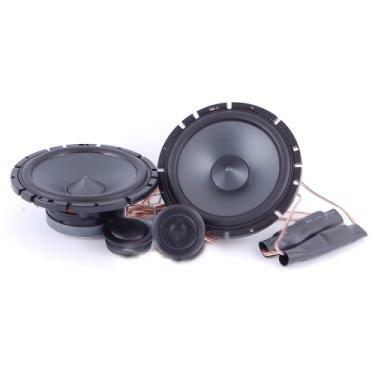 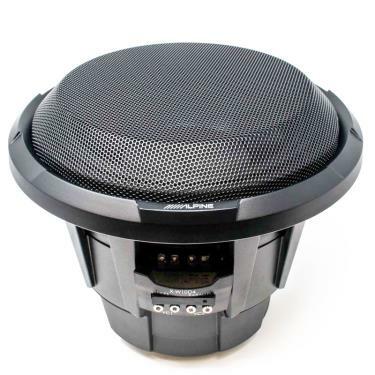 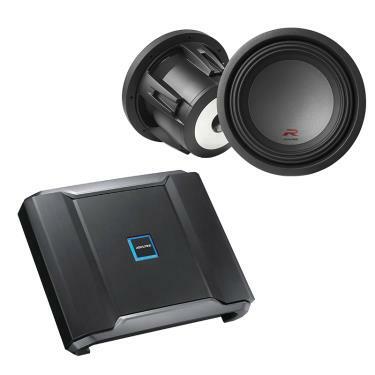 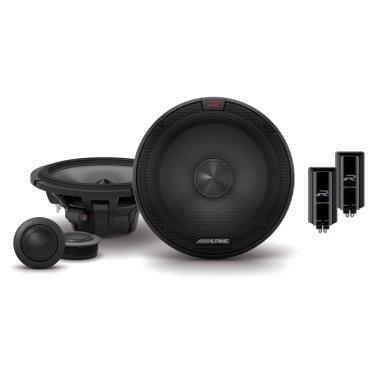 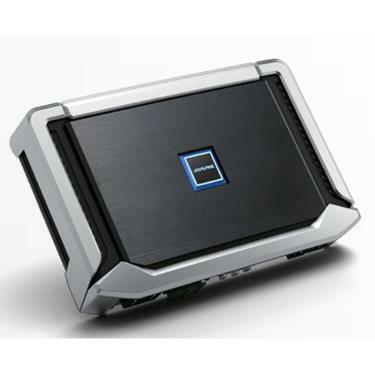 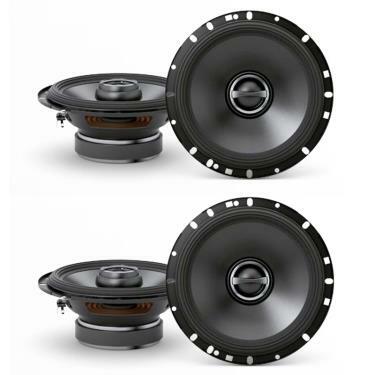 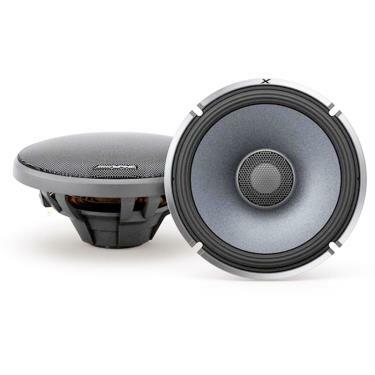 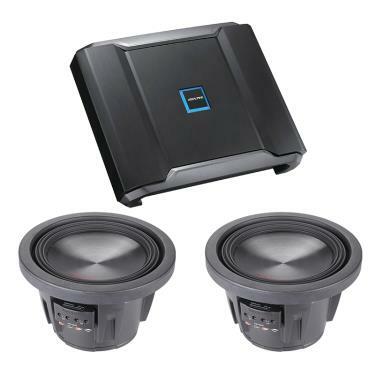 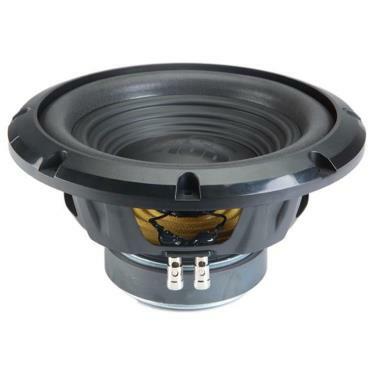 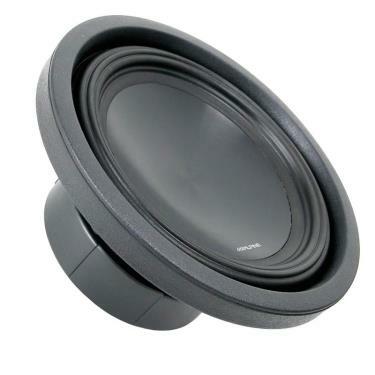 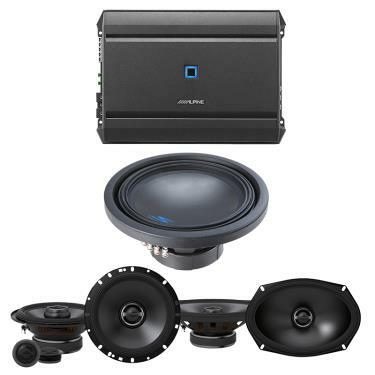 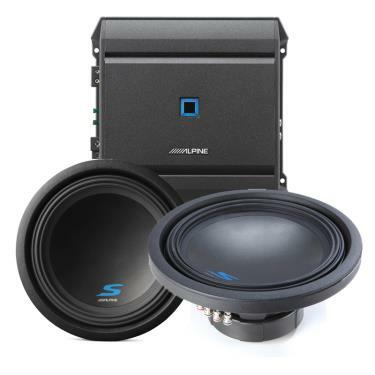 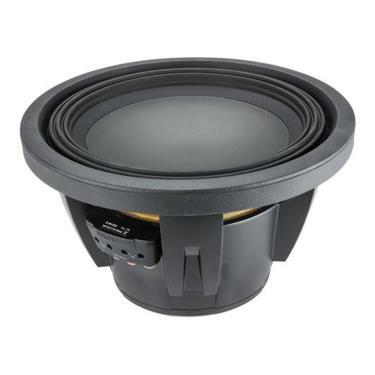 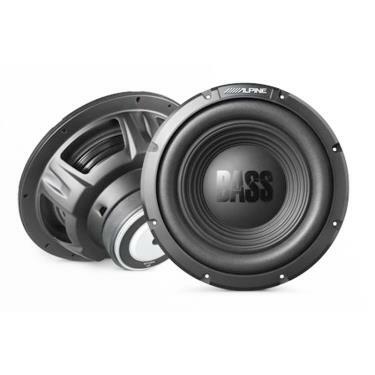 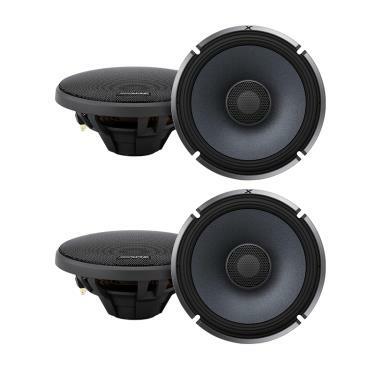 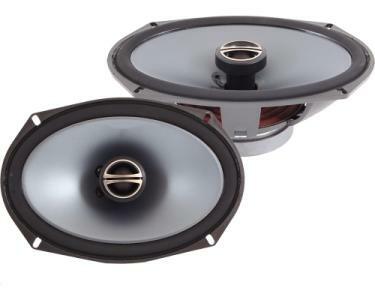 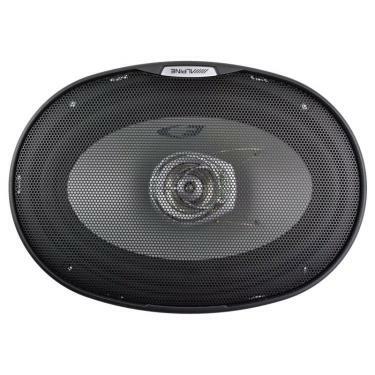 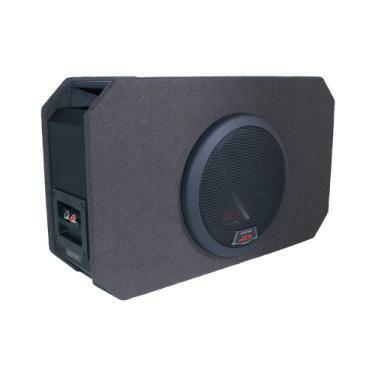 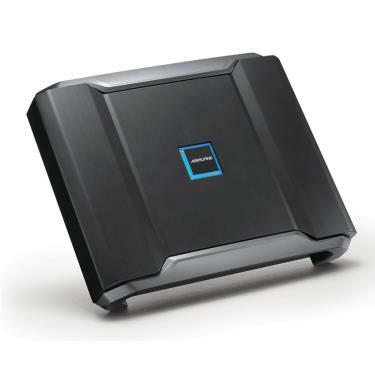 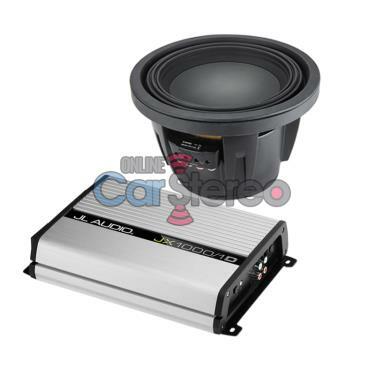 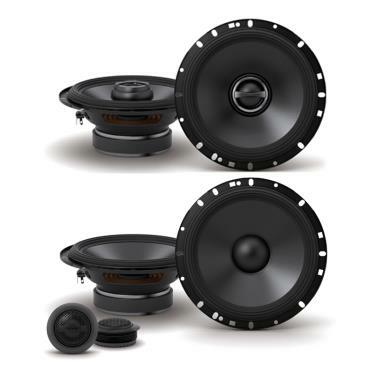 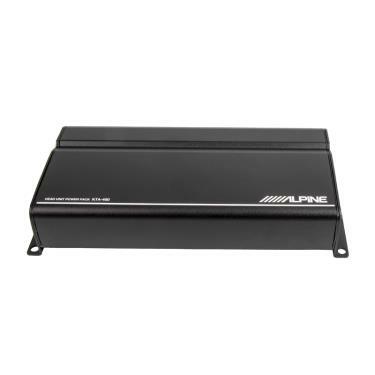 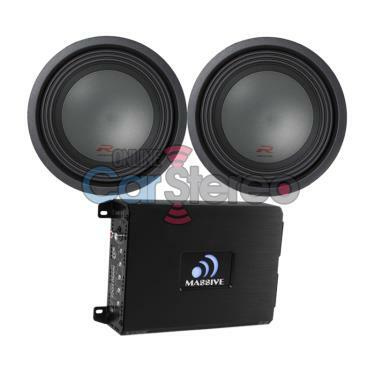 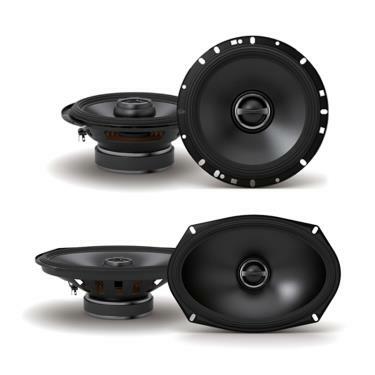 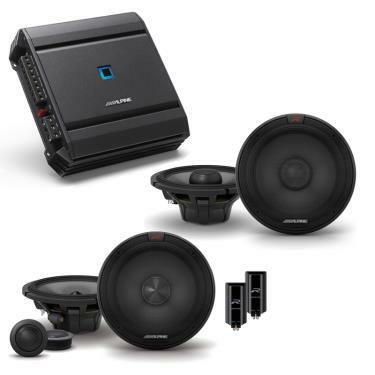 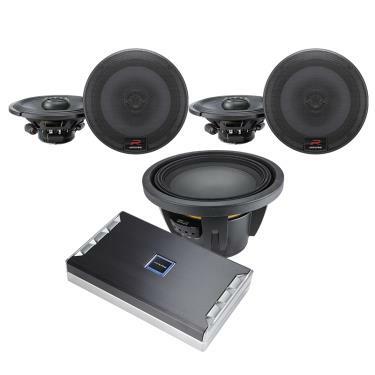 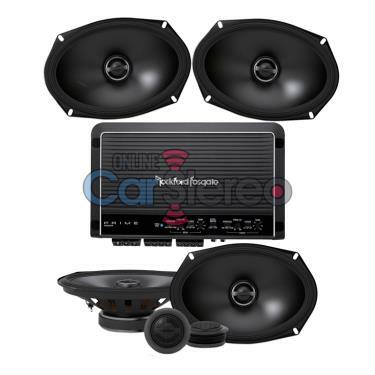 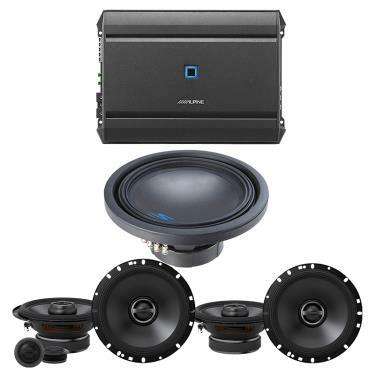 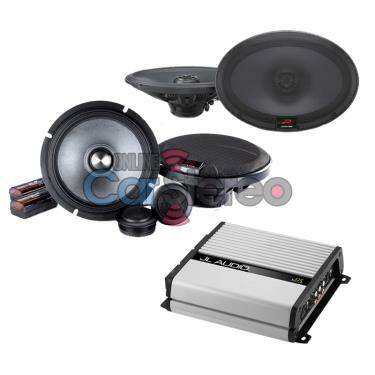 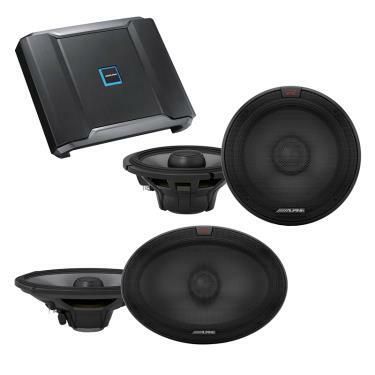 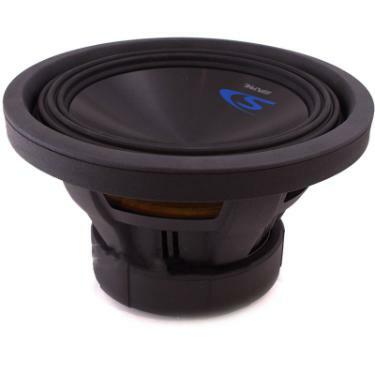 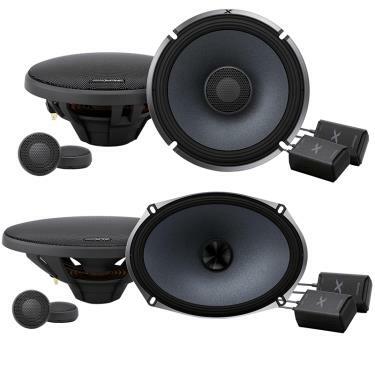 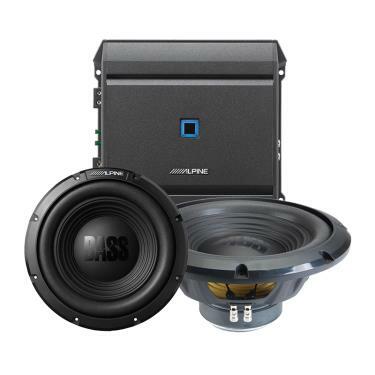 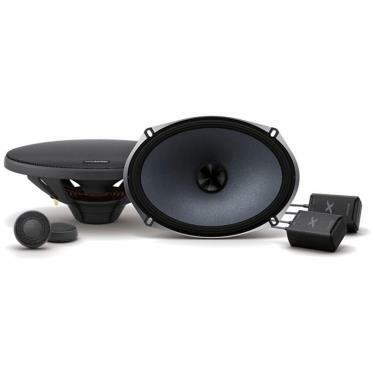 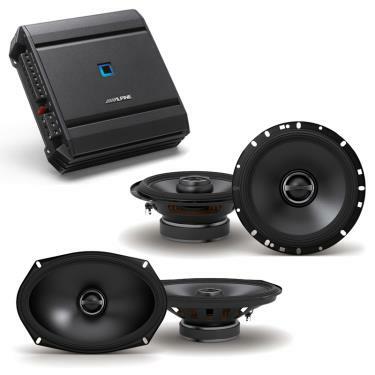 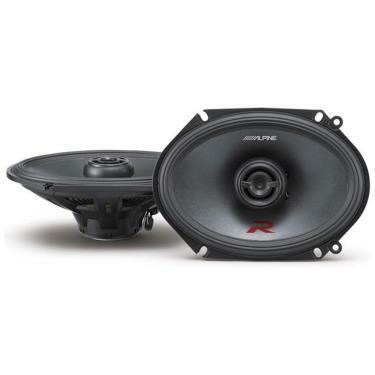 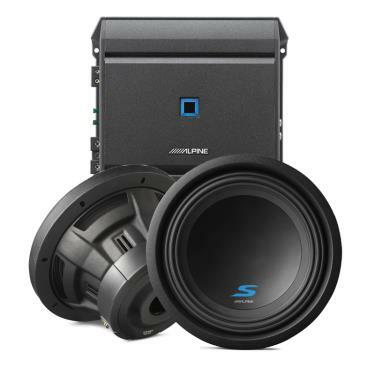 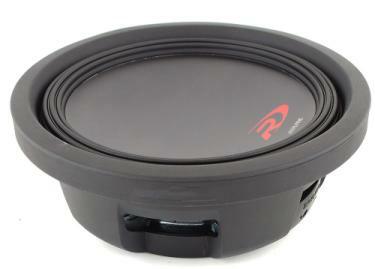 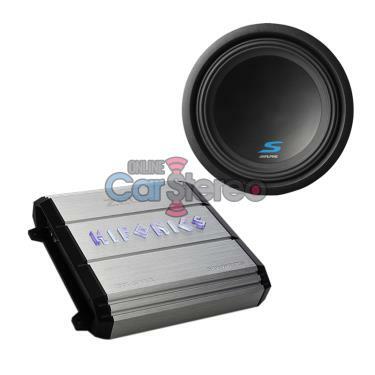 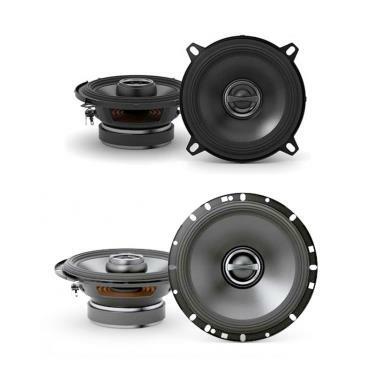 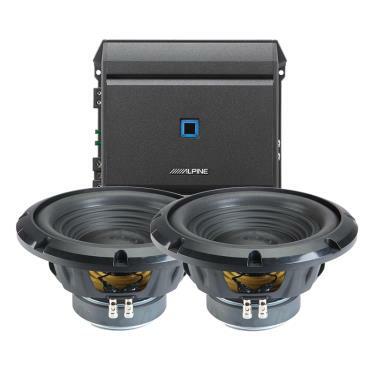 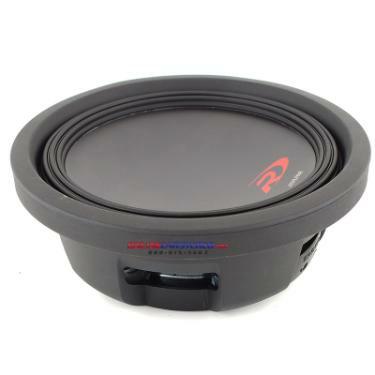 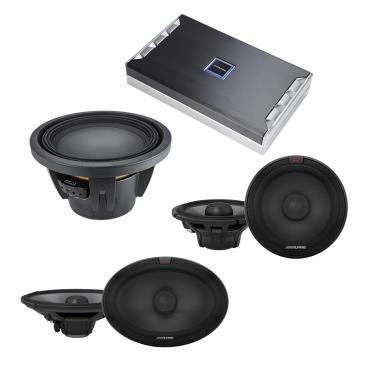 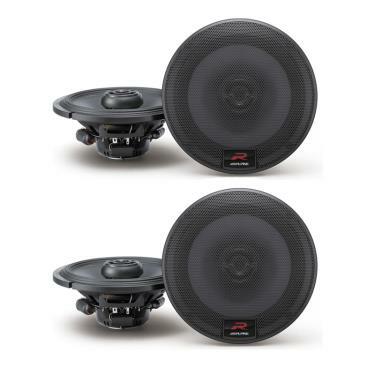 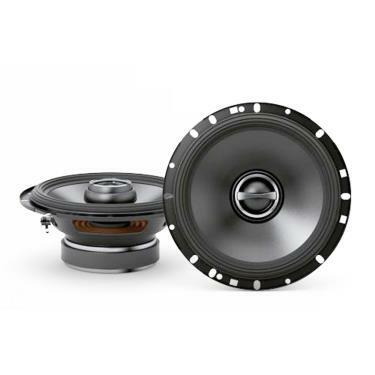 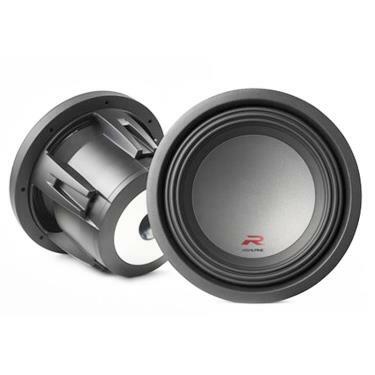 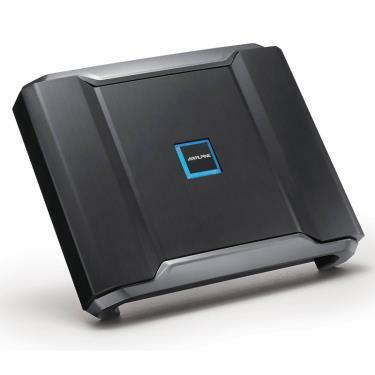 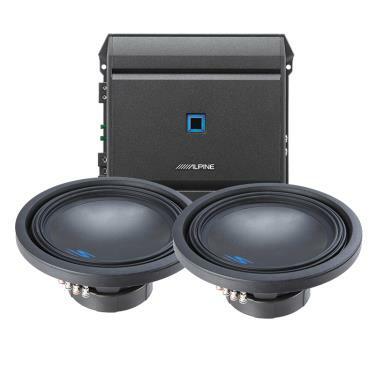 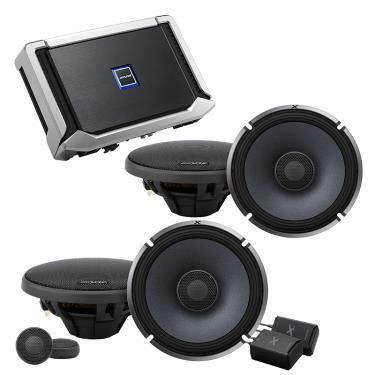 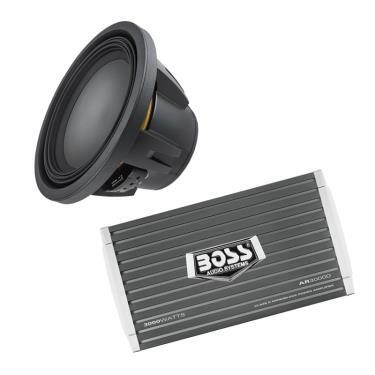 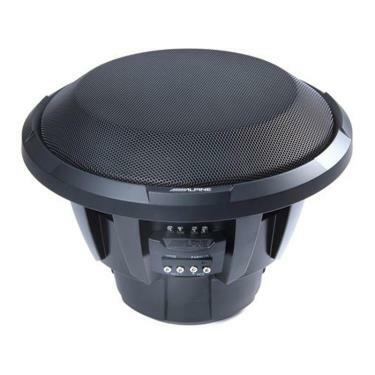 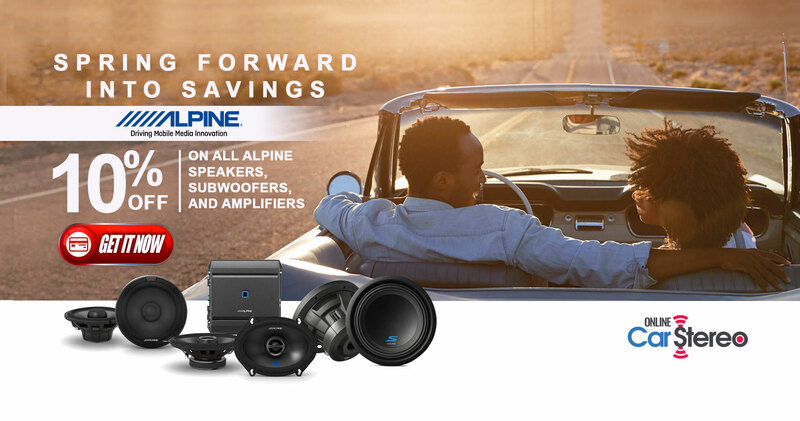 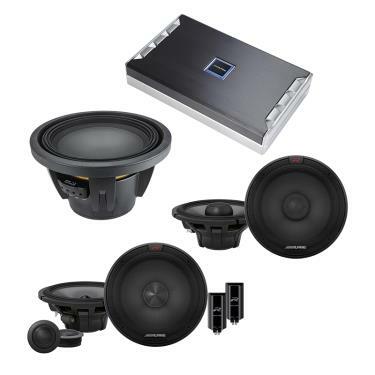 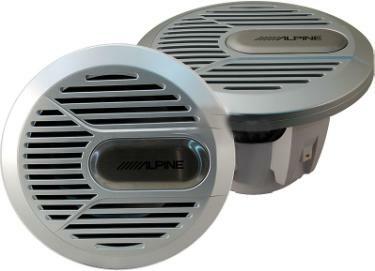 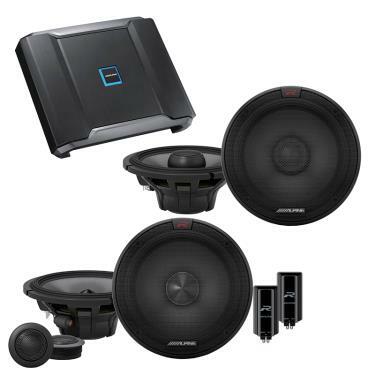 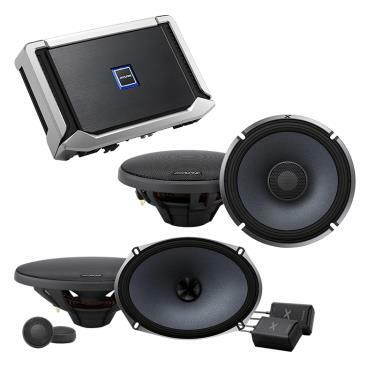 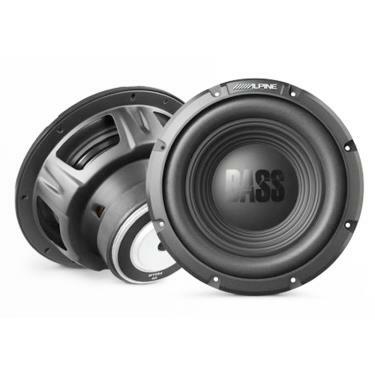 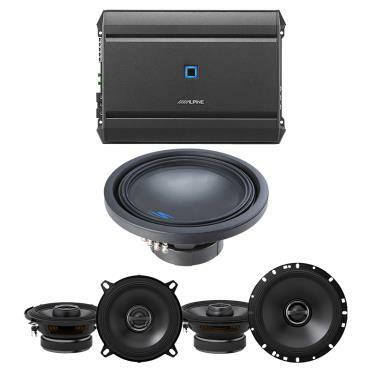 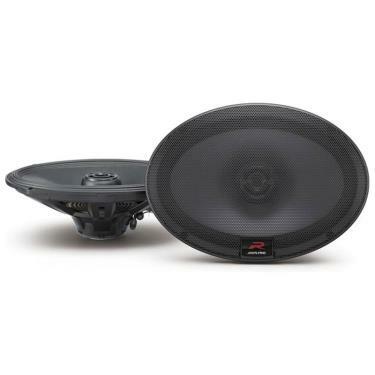 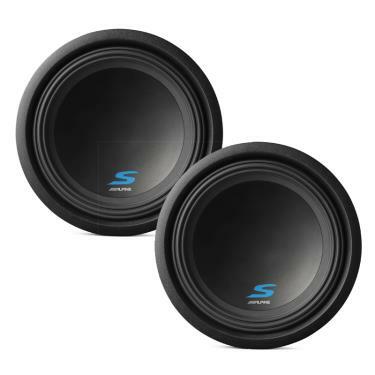 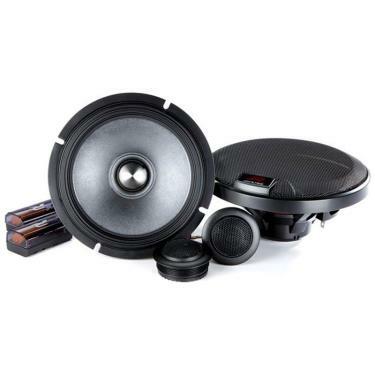 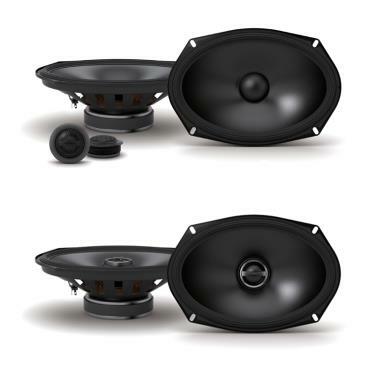 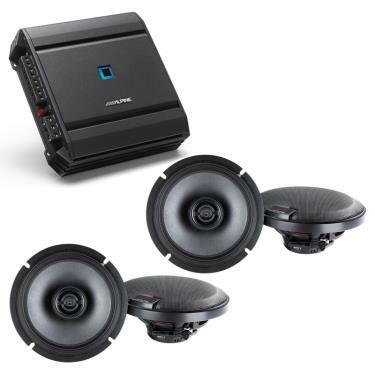 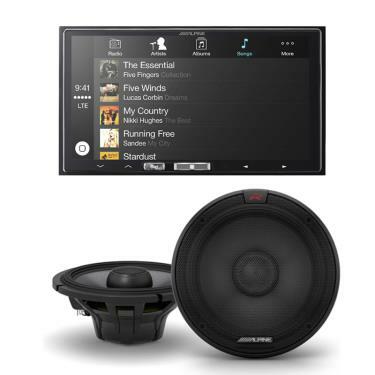 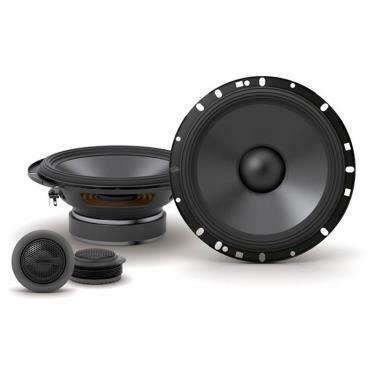 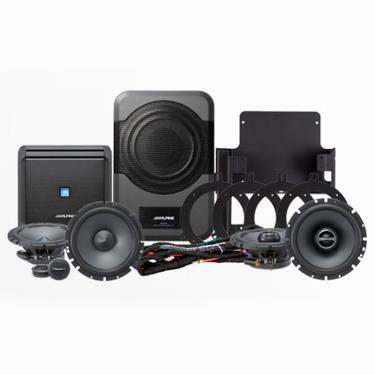 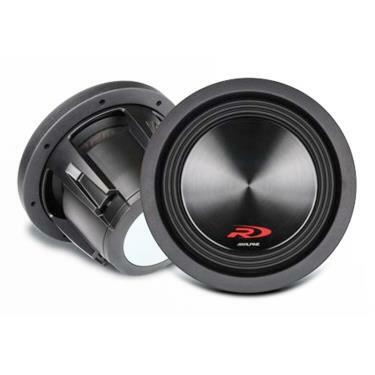 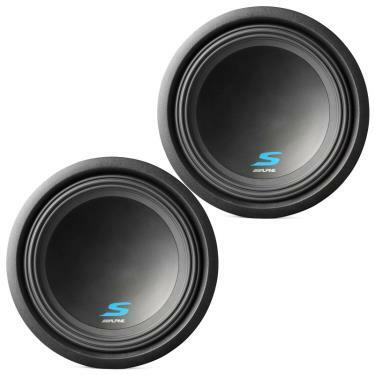 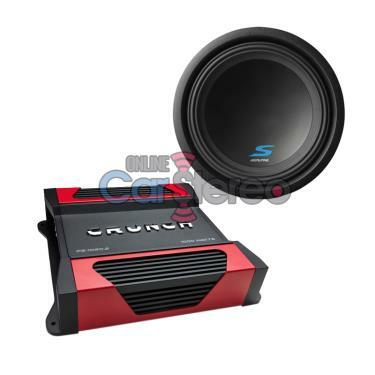 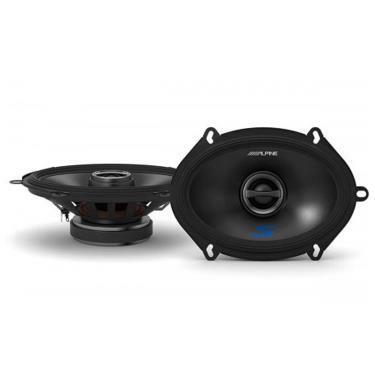 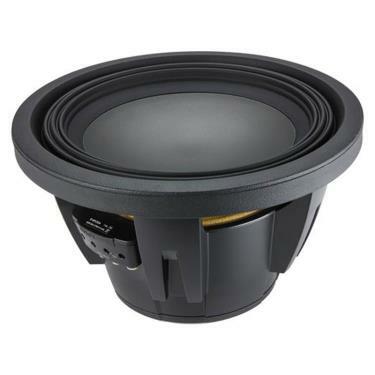 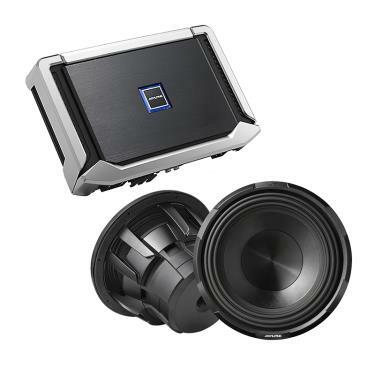 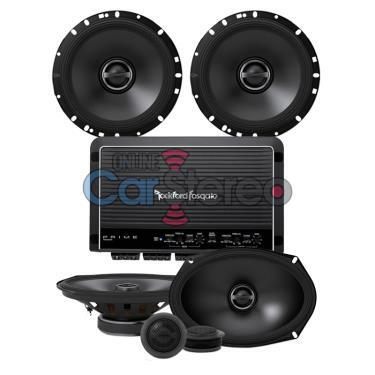 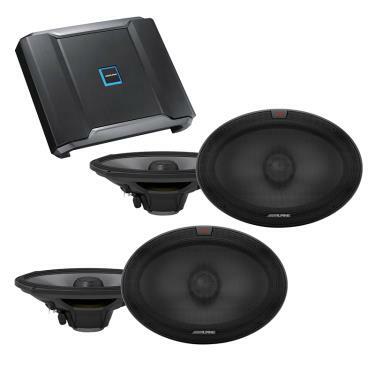 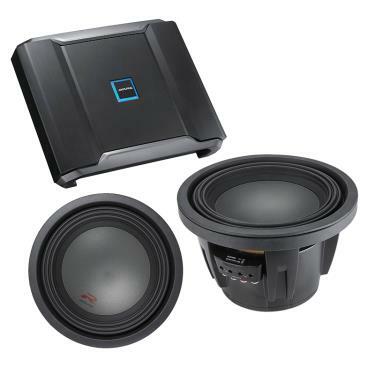 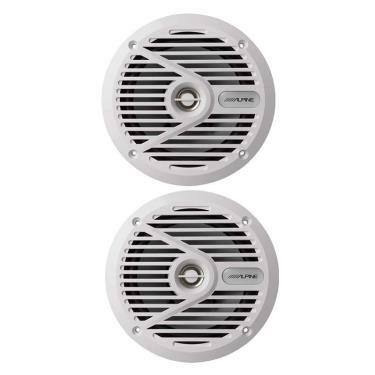 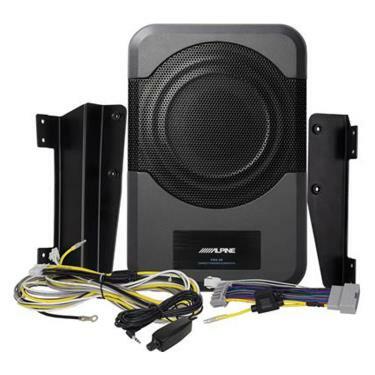 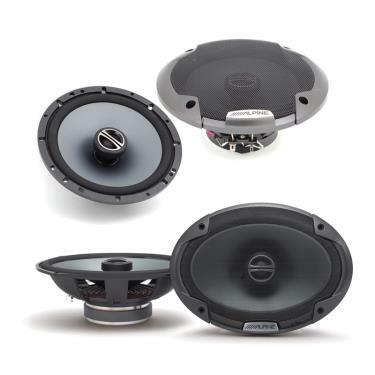 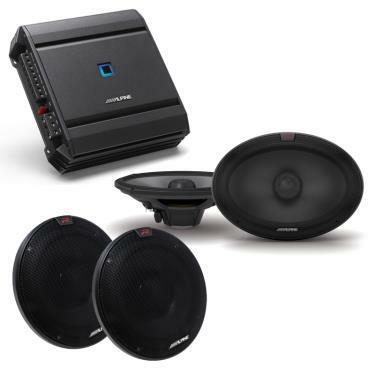 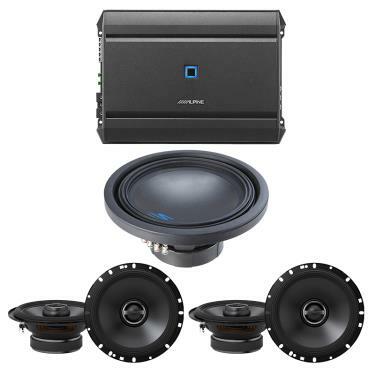 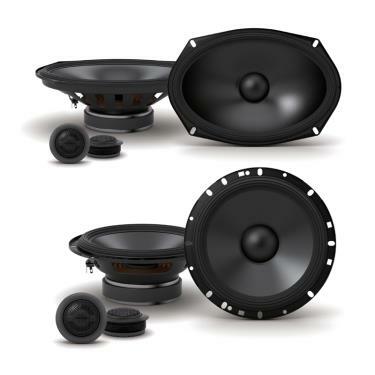 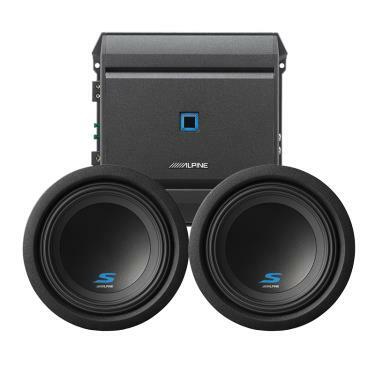 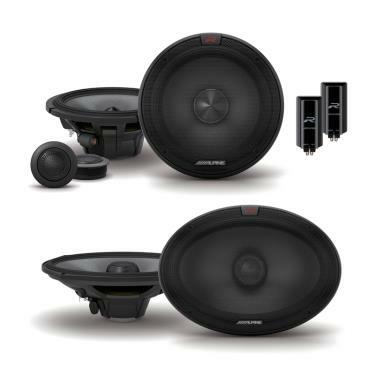 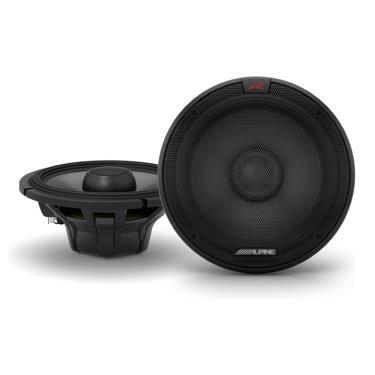 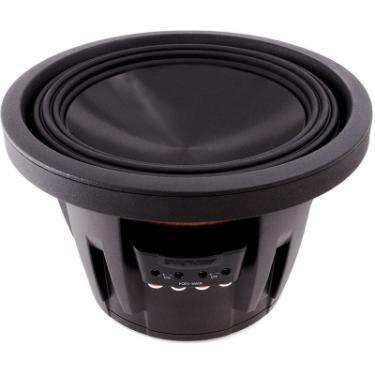 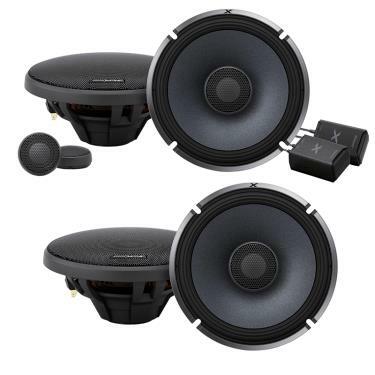 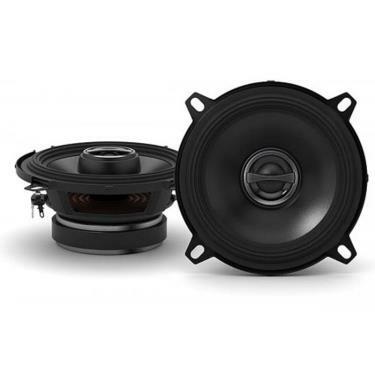 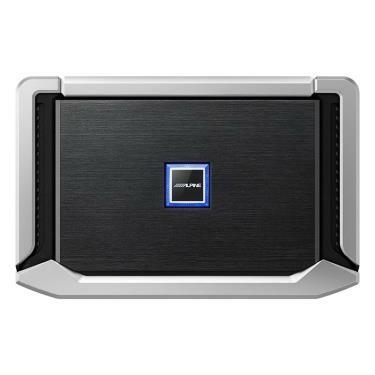 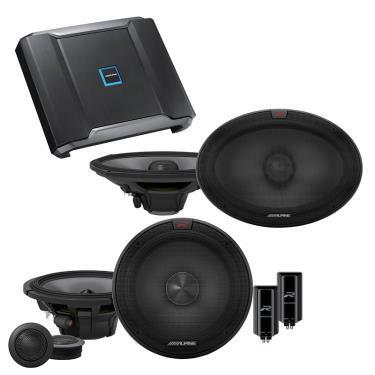 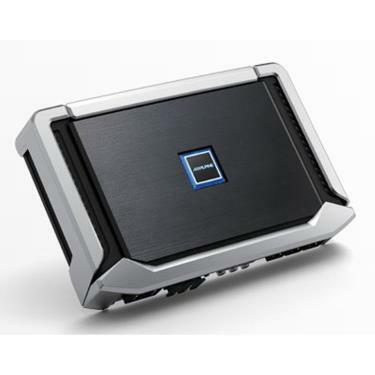 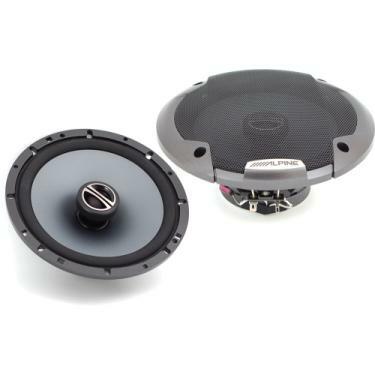 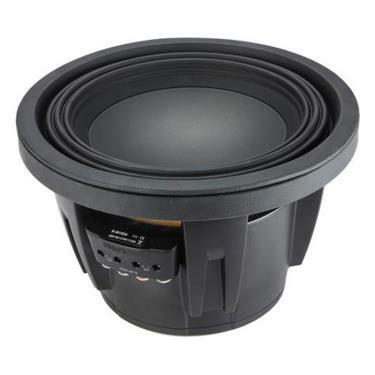 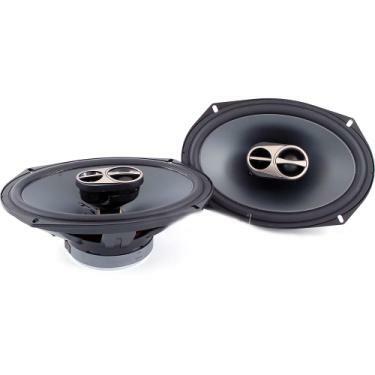 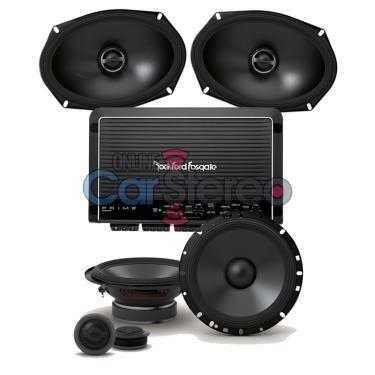 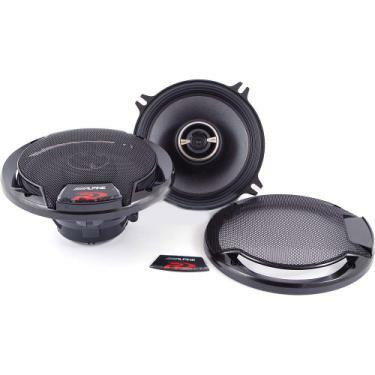 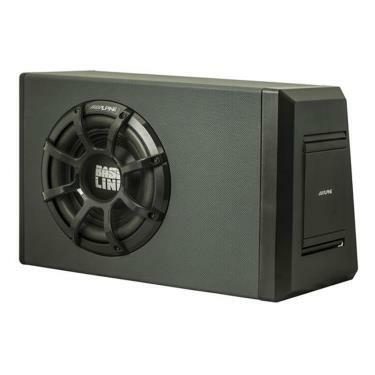 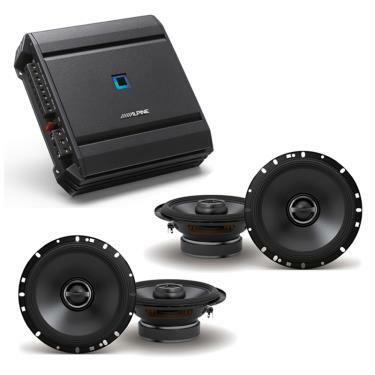 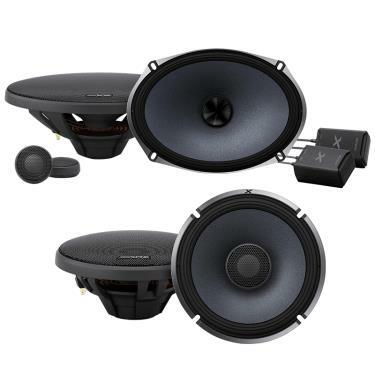 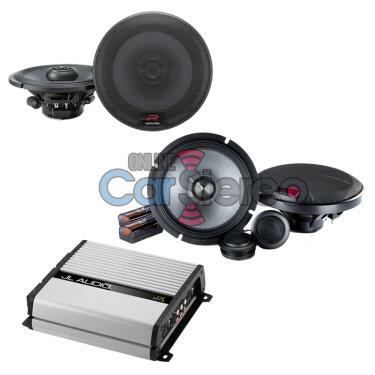 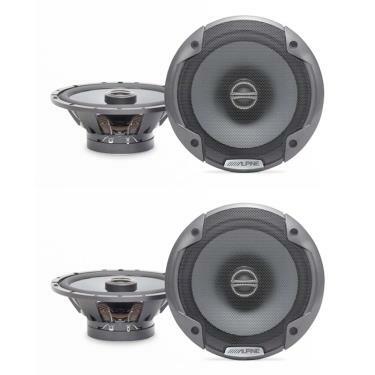 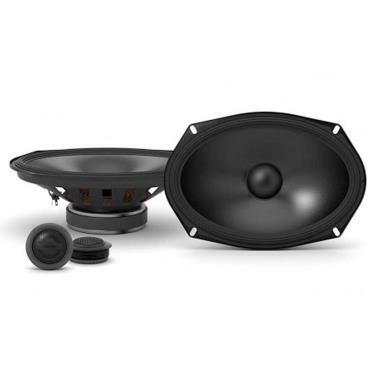 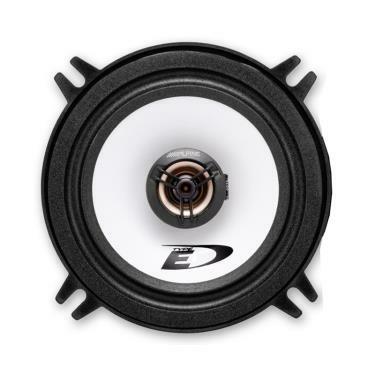 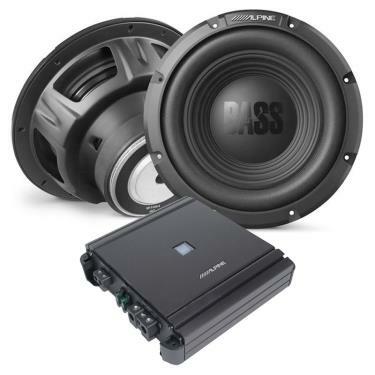 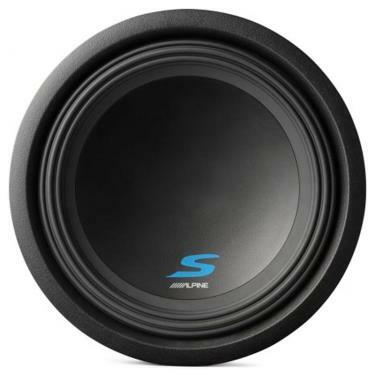 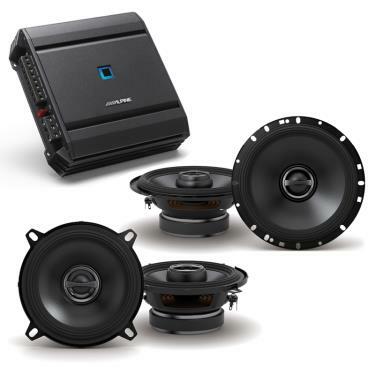 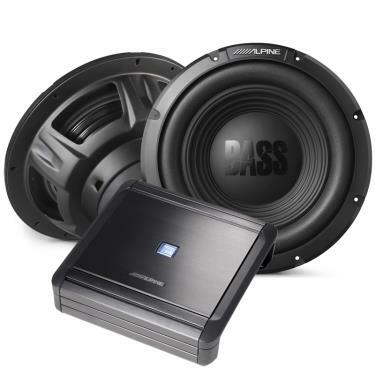 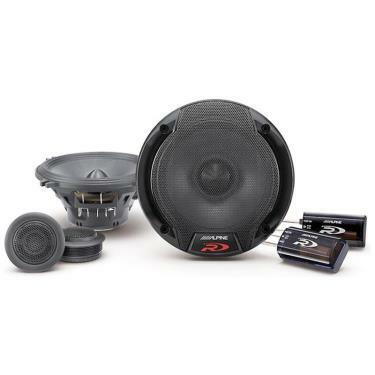 Alpine PWA-S10V 750W Bass Line Series Single 10" Size Vented Subwoofer Angled Enclosure w/ Built-In Amplifier..
Alpine PWE-S8 240 Watts Compact Powered 8" Car Subwoofer for Under or Behind the Seat..
Alpine PWE-S8-WRA 8-inch Compact Powered Subwoofer System for 2011-Up 4-door Jeep Wrangler..
Alpine R-A60F R-Series 150x4 Watts RMS @ 2-ohms Class D 4-Channel Subwoofer Amplifier..
Alpine R-A60F-Bundle Alpine R-A60F + Two Alpine R-S65.2 Exclusive Amplifier Bundle..
Alpine R-A60F-Bundle2 Alpine R-A60F + Alpine R-S65.2 + Alpine R-S69.2 Exclusive Amplifier Bundle..
Alpine R-A60F-Bundle4 Alpine R-A60F + Alpine R-S65C.2 + Alpine R-S65.2 Exclusive Amplifier Bundle..
Alpine R-A60F-Bundle5 Alpine R-A60F + Two Alpine R-S69.2 Exclusive Amplifier Bundle..
Alpine R-A60F-Bundle6 Alpine R-A60F + Alpine R-S69.2 + Alpine R-S65C.2 Exclusive Amplifier Bundle..
Alpine R-A75M R-Series 750x1 Watts RMS @ 2-ohms Class D Mono Subwoofer Amplifier..
Alpine R-A75M-Bundle Alpine R-A75M + Two Alpine SWR-8D2 Exclusive Bass Bundle..
Alpine R-A75M-Bundle2 Alpine R-A75M + Two Alpine SWR-8D4 Exclusive Bass Bundle..
Alpine R-A75M-Bundle3 Alpine R-A75M + Two Alpine R-W10D2 Exclusive Bass Bundle..
Alpine R-A75M-Bundle4 Alpine R-A75M + Two Alpine R-W10D4 Exclusive Bass Bundle..
Alpine R-S65 600 Watts Max Power 6.5" Type R 2-Way Coaxial Car Speakers..
Alpine R-S65-Bundle Two Pairs of Alpine R-S65 Exclusive Speaker Package..
Alpine R-S65.2 R Series 6.5" 300 Watts Peak Power 2-Way Car Speakers..
Alpine R-S65C 600 Watts Max Power Type R 6.5" 2-Way Component Car Speakers..
Alpine R-S65CRS65JX40 Alpine R-S65C 6.5" 600W Max 2-Way Component Speakers + Alpine R-S65 6.5" 600W Max 2-Way Coaxial Speakers + JL Audio JX400/4D 4-Channel Car Amplifier 70 watts RMS x 4 at 4 ohms..
Alpine R-S65C6.52-WayCo Alpine R-S65C 6.5" 600W Max 2-Way Coaxial Speakers + Alpine R-S69 6"x9" 600W Max 2-Way Coaxial Speakers + JL Audio JX400/4D 4-Channel Car Amplifier 70 watts RMS x 4 at 4 ohms..
Alpine R-S65C.2 R Series 6.5" 300 Watts Peak Power 2-Way Component Speaker System..
Alpine R-S65C.2-Bundle Alpine R-S65C.2 + Alpine R-S69.2 Exclusive Speaker Package..
Alpine R-S65C.2-Bundle2 Alpine R-S65C.2 + Alpine R-S65.2 Exclusive Speaker Package..
Alpine R-S68 600 Watts Max Power 6" x 8" R-Type 2-Way Coaxial Car Speakers..
Alpine R-S69 600W Max (200W RMS) 6" x 9" R-Type 2-Way Coaxial Car Speakers..
Alpine R-S69.2 R Series 6"x9" 300 Watts Peak Power 2-Way Speakers..
Alpine R-S69.2-Bundle Alpine R-S69.2 + Alpine R-S65.2 Exclusive Speaker Package..
Alpine R-S69.2-Bundle2 Two Pairs of Alpine R-S69.2 Exclusive Speaker Package..
Alpine R-S69C.2 R Series 6"x9" 300 Watts Max Power 2-Way Component Speaker System..
Alpine R-W10D2 2250 Watts Max Power 10" R-Series Dual 2-Ohm Car Subwoofer..
Alpine R-W10D2-Bundle Two Alpine R-W10D2 Exclusive Subwoofer Bundle..
Alpine R-W10D4 2250 Watts Max Power 10" R-Series Dual 4-Ohm Car Subwoofer..
Alpine R-W10D410Subwoofe Alpine R-W10D4 10" 2250W Max Power 4-0hm Car Subwoofer + JL Audio JX1000/1D 1000W RMS Peak 2-Ohm Mono Subwoofer Amplifier Bass Package..
Alpine R-W10D4-Bundle Two Alpine R-W10D4 Exclusive Subwoofer Bundle..
Alpine R-W12D2 2250 Watts Max Power 12" R-Series Dual 2-Ohm Car Subwoofer..
Alpine R-W12D4 2250 Watts Max Power 12" R-Series Dual 4-Ohm Car Subwoofer..
Alpine RW10D4-PKG Two Alpine R-W10D4 2250 Watts Max Power 10" Car Subwoofer + Massive Audio B2000.1 1000 Watts Power Monoblock Amplifier OEM Line Converter BUNDLE..
Alpine RW12D4-PKG Alpine R-W12D4 12" 2250W Max Power Car Subwoofer + Boss Audio AR3000D Armor 3000-Watt 1-8ohm Monoblock Amplifier BUNDLE..
Alpine S-A32F S-Series 80x4 Watts RMS @ 2-ohms 4-Channel Class D Power Amplifier..
Alpine S-A32F-Bundle Alpine S-A32F + Two Alpine R-S65.2 Exclusive Amplifier Bundle..
Alpine S-A32F-Bundle10 Alpine S-A32F + Alpine R-S65C.2 + Alpine R-S65 Exclusive Amplifier Bundle..
Alpine S-A32F-Bundle2 Alpine S-A32F + Two Alpine S-S65 Exclusive Amplifier Bundle..
Alpine S-A32F-Bundle3 Alpine S-A32F + Alpine R-S69.2 + Alpine R-S65.2 Exclusive Amplifier Bundle..
Alpine S-A32F-Bundle4 Alpine S-A32F + Alpine S-S65 + Alpine S-S69 Exclusive Amplifier Bundle..
Alpine S-A32F-Bundle5 Alpine S-A32F + Alpine S-S65C + Alpine S-S65 Exclusive Amplifier Bundle..
Alpine S-A32F-Bundle6 Alpine S-A32F + Alpine S-S65 + Alpine S-S50 Exclusive Amplifier Bundle..
Alpine S-A32F-Bundle7 Alpine S-A32F + Two Alpine R-S65 Exclusive Amplifier Bundle..
Alpine S-A32F-Bundle8 Alpine S-A32F + Alpine R-S65C.2 + Alpine R-S69.2 Exclusive Amplifier Bundle..
Alpine S-A32F-Bundle9 Alpine S-A32F + Two Alpine R-S69.2 Exclusive Amplifier Bundle..
Alpine S-A55V S-Series 80x4 Watts RMS @ 2-ohms 5-Channel Class D Power Amplifier..
Alpine S-A55V-Bundle Alpine S-A55V + JBL Stage 1200B + Kicker 43CSC654 + Kicker 43CSC6934 Exclusive Bass Package..
Alpine S-A55V-Bundle10 Alpine S-A55V + Alpine S-S65 + Alpine S-S50 + Alpine S-W12D2 Exclusive Bundle..
Alpine S-A55V-Bundle11 Alpine S-A55V + Alpine CDE-175BT + Two Alpine S-S65 + Alpine S-W12D2 Exclusive Bundle..
Alpine S-A55V-Bundle12 Alpine S-A55V + Alpine CDE-175BT + Alpine S-S65 + Alpine S-S69 + Alpine S-W12D2 Exclusive Bundle..
Alpine S-A55V-Bundle13 Alpine S-A55V + Alpine CDE-175BT + Alpine S-S65C + Alpine S-S65 + Alpine S-W12D2 Exclusive Bundle..
Alpine S-A55V-Bundle14 Alpine S-A55V + Alpine CDE-175BT + Alpine S-S69C + Alpine S-S69 + Alpine S-W12D2 Exclusive Bundle..
Alpine S-A55V-Bundle15 Alpine S-A55V + Alpine CDE-175BT + Alpine S-S65C + Alpine S-S69 + Alpine S-W12D2 Exclusive Bundle..
Alpine S-A55V-Bundle16 Alpine S-A55V + Alpine CDE-175BT + Alpine S-S69C + Alpine S-S65C + Alpine S-W12D2 Exclusive Bundle..
Alpine S-A55V-Bundle17 Alpine S-A55V + Alpine CDE-175BT + Two Alpine SPE-6000 + Alpine S-W12D2 Exclusive Bundle..
Alpine S-A55V-Bundle18 Alpine S-A55V + Alpine CDE-175BT + Alpine SPE-6090 + Alpine SPE-6000 + Alpine S-W12D2 Exclusive..
Alpine S-A55V-Bundle19 Alpine S-A55V + Alpine CDE-175BT + Alpine S-S65 + Alpine S-S50 + Alpine S-W12D2 Exclusive Bundle..
Alpine S-A55V-Bundle2 Alpine S-A55V + Two Alpine S-S65 + Alpine S-W12D2 Exclusive Amplifier Bundle..
Alpine S-A55V-Bundle20 Alpine S-A55V + Alpine CDE-175BT + Two Alpine S-S65 + Alpine S-W10D2 Exclusive Bundle..
Alpine S-A55V-Bundle21 Alpine S-A55V + Alpine CDE-175BT + Alpine S-S65 + Alpine S-S69 + Alpine S-W10D2 Exclusive Bundle..
Alpine S-A55V-Bundle22 Alpine S-A55V + Alpine CDE-175BT + Alpine S-S65C + Alpine S-S65 + Alpine S-W10D2 Exclusive Bundle..
Alpine S-A55V-Bundle23 Alpine S-A55V + Alpine CDE-175BT + Alpine S-S69C + Alpine S-S69 + Alpine S-W10D2 Exclusive Bundle..
Alpine S-A55V-Bundle24 Alpine S-A55V + Alpine CDE-175BT + Alpine S-S65C + Alpine S-S69 + Alpine S-W10D2 Exclusive Bundle..
Alpine S-A55V-Bundle25 Alpine S-A55V + Alpine CDE-175BT + Alpine S-S69C + Alpine S-S65 + Alpine S-W10D2 Exclusive Bundle..
Alpine S-A55V-Bundle26 Alpine S-A55V + Alpine CDE-175BT + Two Alpine SPE-6000 + Alpine S-W10D2 Exclusive Bundle..
Alpine S-A55V-Bundle27 Alpine S-A55V + Alpine CDE-175BT + Alpine SPE-6090 + Alpine SPE-6000 + Alpine S-W10D2 Exclusive Bundle..
Alpine S-A55V-Bundle28 Alpine S-A55V + Alpine CDE-175BT + Alpine S-S65 + Alpine S-S50 + Alpine S-W10D2 Exclusive Bundle..
Alpine S-A55V-Bundle29 Alpine S-A55V + Alpine CDE-175BT + Two Alpine S-S65 + Alpine S-W10D4 Exclusive Bundle..
Alpine S-A55V-Bundle3 Alpine S-A55V + Alpine S-S65 + Alpine S-S69 + Alpine S-W12D2 Exclusive Amplifier Bundle..
Alpine S-A55V-Bundle31 Alpine S-A55V + Alpine CDE-175BT + Alpine S-S65C + Alpine S-S65 + Alpine S-W10D4 Exclusive Bundle..
Alpine S-A55V-Bundle32 Alpine S-A55V + Alpine CDE-175BT + Alpine S-S69C + Alpine S-S69 + S-W10D4 Exclusive Bundle..
Alpine S-A55V-Bundle33 Alpine S-A55V + Alpine CDE-175BT + Alpine S-S65C + Alpine S-S69 + Alpine S-W10D4 Exclusive Bundle..
Alpine S-A55V-Bundle34 Alpine S-A55V + Alpine CDE-175BT + Alpine S-S69C + Alpine S-S65C + Alpine S-W10D4 Exclusive Bundle..
Alpine S-A55V-Bundle35 Alpine S-A55V + Alpine CDE-175BT + Two Alpine SPE-6000 + Alpine S-W10D4 Exclusive Bundle..
Alpine S-A55V-Bundle36 Alpine S-A55V + Alpine CDE-175BT + Alpine SPE-6090 + Alpine SPE-6000 + S-W10D4 Exclusive Bundle..
Alpine S-A55V-Bundle37 Alpine S-A55V + Alpine CDE-175BT + Alpine S-S65 + Alpine S-S50 + Alpine S-W10D4 Exclusive Bundle..
Alpine S-A55V-Bundle38 Alpine S-A55V + Alpine CDE-175BT + Two Alpine S-S65 + Alpine S-W12D4 Exclusive Bundle..
Alpine S-A55V-Bundle39 Alpine S-A55V + Alpine CDE-175BT + Alpine S-S69 + Alpine S-S65 + Alpine S-W12D4 Exclusive Bundle..
Alpine S-A55V-Bundle4 Alpine S-A55V + Alpine S-S65C + Alpine S-S65 + Alpine S-W12D2 Exclusive Bundle..
Alpine S-A55V-Bundle40 Alpine S-A55V + Alpine CDE-175BT + Alpine S-S65C + Alpine S-S65 + Alpine S-W12D4..
Alpine S-A55V-Bundle41 Alpine S-A55V + Alpine CDE-175BT + Alpine S-S69C + Alpine S-S69 + Alpine S-W12D4 Exclusive Bundle..
Alpine S-A55V-Bundle42 Alpine S-A55V + Alpine CDE-175BT + Alpine S-S65C + Alpine S-S69 + Alpine S-W12D4 Exclusive Bundle..
Alpine S-A55V-Bundle43 Alpine S-A55V + Alpine CDE-175BT + Alpine S-S69C + Alpine S-S65C + Alpine S-W12D4 Exclusive Bundle..
Alpine S-A55V-Bundle44 Alpine S-A55V + Alpine CDE-175BT + Two Alpine SPE-6000 + S-W12D4 Exclusive Bundle..
Alpine S-A55V-Bundle45 Alpine S-A55V + Alpine CDE-175BT + Alpine SPE-6090 + Alpine SPE-6000 + Alpine S-W12D4 Exclusive Bundle..
Alpine S-A55V-Bundle46 Alpine S-A55V + Alpine CDE-175BT + Alpine S-S65 + Alpine S-S50 + Alpine S-W12D4 Exclusive Bundle..
Alpine S-A55V-Bundle47 Alpine S-A55V + Alpine CDE-175BT + Two Alpine S-S65 + Alpine S-W8D2 Exclusive Bundle..
Alpine S-A55V-Bundle48 Alpine S-A55V + Alpine CDE-175BT + Alpine S-S69 + Alpine S-S65 + Alpine S-W8D2 Exclusive Bundle..
Alpine S-A55V-Bundle49 Alpine S-A55V + Alpine CDE-175BT + Alpine S-S65C + Alpine S-S65 + Alpine S-W8D2 Exclusive Bundle..
Alpine S-A55V-Bundle5 Alpine S-A55V + Alpine S-S69C + Alpine S-S69 + Alpine S-W12D2 Exclusive Bundle..
Alpine S-A55V-Bundle50 Alpine S-A55V + Alpine CDE-175BT + Alpine S-S69C + Alpine S-S69 + Alpine S-W8D2 Exclusive Bundle..
Alpine S-A55V-Bundle51 Alpine S-A55V + Alpine CDE-175BT + Alpine S-S65C + Alpine S-S69 + Alpine S-W8D2 Exclusive Bundle..
Alpine S-A55V-Bundle52 Alpine S-A55V + Alpine CDE-175BT + Alpine S-S69C + Alpine S-S65C + alpine S-W8D2 Exclusive Bundle..
Alpine S-A55V-Bundle53 Alpine S-A55V + Alpine CDE-175BT + Two Alpine SPE-6000 + Alpine S-W8D2 Exclusive Bundle..
Alpine S-A55V-Bundle54 Alpine S-A55V + Alpine CDE-175BT + Alpine SPE-6090 + Alpine SPE-6000 + Alpine S-W8D2 Exclusive Bundle..
Alpine S-A55V-Bundle55 Alpine S-A55V + Alpine CDE-175BT + Alpine S-S65 + Alpine S-S50 + Alpine S-W8D2 Exclusive Bundle..
Alpine S-A55V-Bundle56 Alpine S-A55V + Alpine CDE-175BT + Two Alpine S-S65 + Alpine S-W8D4 Exclusive Bundle..
Alpine S-A55V-Bundle57 Alpine S-A55V + Alpine CDE-175BT + Alpine S-S69 + Alpine S-S65 + Alpine S-W8D4 Exclusive Bundle..
Alpine S-A55V-Bundle58 Alpine S-A55V + Alpine CDE-175BT + Alpine S-S65C + Alpine S-S65 + Alpine S-W8D4 Exclusive Bundle..
Alpine S-A55V-Bundle59 Alpine S-A55V + Alpine CDE-175BT + Alpine S-S69C + Alpine S-S69 + Alpine S-W8D4 Exclusive Bundle..
Alpine S-A55V-Bundle6 Alpine S-A55V + Alpine S-S69 + Alpine S-S65C + Alpine S-W12D2 Exclusive Bundle..
Alpine S-A55V-Bundle60 Alpine S-A55V + Alpine CDE-175BT + Alpine S-S65C + Alpine S-S69 + Alpine S-W8D4 Exclusive Bundle..
Alpine S-A55V-Bundle61 Alpine S-A55V + Alpine CDE-175BT + Alpine S-S69C + Alpine S-S65C + Alpine S-W8D4 Exclusive Bundle..
Alpine S-A55V-Bundle62 Alpine S-A55V + Alpine CDE-175BT + Two Alpine SPE-6000 + Alpine S-W8D4 Exclusive Bundle..
Alpine S-A55V-Bundle63 Alpine S-A55V + Alpine CDE-175BT + Alpine SPE-6090 + Alpine SPE-6000 + Alpine S-W8D4 Exclusive Bundle..
Alpine S-A55V-Bundle64 Alpine S-A55V + Alpine CDE-175BT + Alpine S-S65 + Alpine S-S50 + Alpine S-W8D4..
Alpine S-A55V-Bundle65 Alpine S-A55V + Alpine CDE-175BT + Two Alpine S-S65 + Alpine W12S4 Exclusive Bundle..
Alpine S-A55V-Bundle66 Alpine S-A55V + Alpine CDE-175BT + Alpine S-S69 + Alpine S-S65 + Alpine W12S4 Exclusive Bundle..
Alpine S-A55V-Bundle67 Alpine S-A55V + Alpine CDE-175BT + Alpine S-S65C + Alpine S-S65 + Alpine W12S4 Exclusive Bundle..
Alpine S-A55V-Bundle68 Alpine S-A55V + Alpine CDE-175BT + Alpine S-S69C + Alpine S-S69 + Alpine W12S4 Exclusive Bundle..
Alpine S-A55V-Bundle7 Alpine S-A55V + Alpine S-S69C + Alpine S-S65C + Alpine S-W12D2 Exclusive Bundle..
Alpine S-A55V-Bundle8 Alpine S-A55V + Alpine SPE-6090 + Alpine SPE-6000 + Alpine S-W12D2 Exclusive Bundle..
Alpine S-A55V-Bundle9 Alpine S-A55V + Two Alpine SPE-6000 + Alpine S-W12D2 Exclusive Bundle..
Alpine S-A60M S-Series 600x1 Watts RMS Class D Mono Subwoofer Amplifier..
Alpine S-A60M-Bundle Alpine S-A60M + Two Alpine S-W12D2 Exclusive Bass Bundle..
Alpine S-A60M-Bundle2 Alpine S-A60M + Two Alpine S-W10D2 Exclusive Bass Bundle..
Alpine S-A60M-Bundle3 Alpine S-A60M + Two Alpine S-W12D4 Exclusive Bass Bundle..
Alpine S-A60M-Bundle4 Alpine S-A60M + Two Alpine S-W8D4 Exclusive Bass Bundle..
Alpine S-A60M-Bundle5 Alpine S-A60M + Two Alpine S-W8D2 Exclusive Bass Bundle..
Alpine S-A60M-Bundle6 Alpine S-A60M + Two Alpine W12S4 Exclusive Bass Bundle..
Alpine S-A60M-Bundle7 Alpine S-A60M + Two Alpine W10S4 Exclusive Bass Bundle..
Alpine S-S40 S-Series 4" 140 Watts Peak Power Coaxial 2-Way Car Speakers..
Alpine S-S50 S-Series 5.25" 170 Watts Peak Power Coaxial 2-Way Car Speakers..
Alpine S-S57 S-Series 5x7" 230 Watts Peak Power Coaxial 2-Way Car Speakers..
Alpine S-S65 6.5" 240 Watts Peak Power, 2 Way Coaxial Car Speaker..
Alpine S-S65-Bundle Two Pairs of Alpine S-S65 Exclusive Speaker Package..
Alpine S-S65-Bundle2 Alpine S-S65 + Alpine S-S50 Exclusive Speaker Package..
Alpine S-S65C 6.5" 240 Watts Peak Power Component 2-Way Car Speaker Set..
Alpine S-S65C-Bundle Alpine S-S65C + Alpine S-S65 Exclusive Speaker Package..
Alpine S-S69 6X9" 260 Watts Peak Power 2 Way Coaxial Car Speaker..
Alpine S-S69S-S65R250 Alpine S-S69 6"x9" 260W Peak 2-Way Coaxial Speakers + Alpine S-S65 6.5" 240 Watts Peak Power, 2 Way Coaxial Car Speaker + Rockford Fosgate R250X4 250W 4-Channel Class A/B Car Amplifier..
Alpine S-S69S-S65CR25 Alpine S-S69 6"x9" 260W Peak 2-Way Coaxial Speakers + Alpine S-S65C 6.5" 240W Peak Component 2-Way Car Speaker + Rockford Fosgate R250X4 250W 4-Ch Class A/B Car Amplifier..
Alpine S-S69-Bundle Alpine S-S69 + Alpine S-S65 Exclusive Speaker Package..
Alpine S-S69C 6x9" 260 Watts Peak Power Car Component 2-Way Speakers..
Alpine S-S69CS-S65R25 Alpine S-S69C 6"x9" 260W Peak 2-Way Component Car Speakers + Alpine S-S65 6.5" 240 Watts Peak Power, 2 Way Coaxial Car Speaker + Rockford Fosgate R250X4 250W 4-Channel Class A/B Car Amplifier..
Alpine S-S69CS-S69R25 Alpine S-S69C 6"x9" 260W Peak 2-Way Component Car Speakers + Alpine S-S69 6"x9" 260W Peak 2-Way Coaxial Speakers + Rockford Fosgate R250X4 250 Watts 4-Channel Class A/B Car Amplifier..
Alpine S-S69C-Bundle Alpine S-S69C + Alpine S-S65C Exclusive Speaker Package..
Alpine S-S69C-Bundle2 Alpine S-S69C + Alpine S-S69 Exclusive Speaker Package..
Alpine S-W10D2 S-Series 10" 1800 Watts Peak Power Dual 2-Ohm Car Subwoofer..
Alpine S-W10D210Subwoofe S-Series 10" 1800 Watts Peak Power Dual 2-Ohm Car Subwoofer + Hifonics ZXX500.2 Zeus 1000 Watt 2 Channel Car Amplifier..
Alpine S-W10D2-Bundle Two Alpine S-W10D2 Exclusive Subwoofer Bundle..
Alpine S-W10D4 S-Series 10" 1800 Watts Peak Power Dual 4-Ohm Car Subwoofer..
Alpine S-W10D4ZXX500.2 Alpine S-W10D4 S-Series 10" 1800 Watts Peak Power Dual 4-Ohm Car Subwoofer + Hifonics ZXX500.2 Zeus 500 Watt 2 Channel Car Amplifier..
Alpine S-W10D4-Bundle Two Alpine S-W10D4 Exclusive Subwoofer Bundle..
Alpine S-W12D2 S-Series 12" 1800 Watts Peak Power Dual 2-Ohm Car Subwoofer..
Alpine S-W12D2121800WCa Alpine S-W12D2 12" 1800 Watts Peak Power Dual 2-Ohm Car Subwoofer + Crunch PZ-1020.2 1100W Max 2-ohm Class A/B Amplifier ..
Alpine S-W12D2-Bundle Two Alpine S-W12D2 Exclusive Subwoofer Package..
Alpine S-W12D4 S-Series 12" 1800 Watts Peak Power Dual 4-Ohm Car Subwoofer..
Alpine S-W12D4121800WSu Alpine S-W12D4 12" 1800 Watts Peak Power Dual 4-Ohm Car Subwoofer + Crunch PZ-1020.2 1100W Max 2-ohm Class A/B Amplifier..
Alpine S-W12D4-Bundle Two Alpine S-W12D4 Exclusive Subwoofer Bundle..
Alpine S-W8D2 S-Series 8" 900 Watts Peak Power Dual 2-ohm Car Subwoofer..
Alpine S-W8D2-Bundle Two Alpine S-W8D2 Exclusive Subwoofer Bundle..
Alpine S-W8D4 S-Series 900 Watts Peak Power Dual 4-ohm 8-inch Car Subwoofer..
Alpine S-W8D4-Bundle Two Alpine S-W8D4 Exclusive Subwoofer Bundle..
Alpine SBR-S8-4 Ported Enclosure With One 8" Type-R Subwoofer ..
Alpine SBT-S10V 1000W Peak Single 10" Loaded Ported Subwoofer Enclosure..
Alpine SBV-10-WRA Weather Resistant Enclosed Subwoofer For Jeep Wrangler 2015-2018..
Alpine SPE-5000 5-1/4" 400W 2-Way SPE-Series Coaxial Car Audio Speakers..
Alpine SPE-6000 6-1/2" 200W 2-Way Type E Coaxial Car Speaker System..
Alpine SPE-6000-Bundle Two Pairs of Alpine SPE-6000 Exclusive Speaker Package..
Alpine SPE-6090 6" x 9" 2-Way SPE-Series Coaxial Car Audio Speakers..
Alpine SPE-6090-Bundle Alpine SPE-6090 + Alpine SPE-6000 Exclusive Speaker Package..
Alpine SPR-10TW 1" 100W RMS Silk Ring-Dome Component Tweeter..
Alpine SPR-50 540W Peak (180W RMS) 5-1/4" 2-Way Type-R Series Coaxial Car Speakers ..
Alpine SPR-50C 5-1/4" 2-Way 330W Type-R Compnent Car Speaker System..
Alpine SPS-110TW 1" 100W RMS Silk Ring-Dome Component Tweeter..
Alpine SPS-410 4" 2-Way 140W Full Range Type-S Car Speakers..
Alpine SPS-510 5-1/4" 2-Way 170W Full Range Type-S Car Speakers..
Alpine SPS-610C 6-1/2" 240W Type-S 2-Way Component Speaker System..
Alpine SPS-619 6" x 9" 260W 3-Way Full-Range Type-S Speakers..
Alpine SPS-M601 110W 6-1/2" 2-Way Type-S Marine Coaxial Speakers - Silver..
Alpine SPS-M601W 110 Watts each Max Power 6-1/2" 2-Way Type-S Marine Coaxial Speakers - White..
Alpine SPV-65X-WRA 6.5" Component 2-Way Speakers For Jeep Wrangler 2015-2018..
Alpine SWR-10D2 3000W Peak 10" Type-R Series Dual 2-Ohm High Performance Subwoofer ..
Alpine SWR-10D4 3000W Peak 10" Type-R Series Dual 4-Ohm High Performance Subwoofer ..
Alpine SWR-12D2 3000W Peak 12" Type-R Series Dual 2-ohm High Performance Subwoofer ..
Alpine SWR-8D2 1000W Peak 8" Type-R Series Dual 2 ohm High Performance Subwoofer ..
Alpine SWR-8D2-Bundle Two Alpine SWR-8D2 Exclusive Subwoofer Bundle..
Alpine SWR-8D4 1000 Watts Peak 8" Type-R Series Dual 4 ohm High Performance Subwoofer..
Alpine SWR-8D4-Bundle Two Alpine SWR-8D4 Exclusive Subwoofer Bundle..
Alpine SWR-M100 300W RMS 10" Single 4 ohm Type-R Series Marine Subwoofer..
Alpine SWR-T10 10" 1800W 4-Ohm Type-R Shallow-Mount Car Audio Subwoofer..
Alpine SWR-T12 12" 1800W 4-Ohm Type-R Shallow-Mount Car Audio Subwoofer..
Alpine SWS-10D2 10" 1500W Dual 2-Ohm Type-S Series Car Subwoofer..
Alpine SWS-10D4 10" 1500W Dual 4-Ohm Type-R Series Car Subwoofer..
Alpine SWS-12D2 12" 1500W Dual 2-Ohm Type-S Series Car Subwoofer..
Alpine SWS-12D4 12" 1500W Dual 4-Ohm Type-S Series Car Subwoofer..
Alpine SWS-15D2 15" 500W RMS Type-S Series Dual 2-Ohm Car Subwoofer..
Alpine SWT-10S2 10" 1000 Watts Max Power 2 Ohm Truck Subwoofer..
Alpine SWT-10S4 10" 1000 Watts 4 Ohm Truck Subwoofer..
Alpine SXE-1725S 6-1/2" 220W 2-Way Type-E Series Coaxial Car Audio Speakers ..
Alpine SXE-1750S 280W (Peak) 6.5" 2-Way Type-E Series Component 2-Way Speaker..
Alpine SXE-6925S 90W 6x9" 2-Way Type-E Series Coaxial Speakers w/ Mylar Tweeters..
Alpine UTE-73BT-Bundle Alpine UTE-73BT + Alpine R-S65.2 - Exclusive Car Stereo Package..
Alpine UTE-73BT-Bundle2 Alpine UTE-73BT + Alpine R-S69.2 - Exclusive Car Stereo Package..
Alpine UTE-73BT-Bundle3 Alpine UTE-73BT + Alpine S-S65 + Alpine S-S69 - Exclusive Car Stereo Package..
Alpine UTE-73BT-Bundle4 Alpine UTE-73BT + Alpine SPE-6090 + Alpine SPE-6000 - Exclusive Car Stereo Package..
Alpine UTE-73BT-Bundle5 Alpine UTE-73BT + Crunch PX1000.2 + Alpine W12S4 - Exclusive Car Stereo Bass Package..
Alpine W10S4 750 Watts Max Power 10" BassLine Series Single 4 ohm Car Subwoofer - 1 PC Only..
Alpine W10S4-Bundle Two Alpine W10S4 Exclusive Subwoofer Package..
Alpine W12S4 750 Watts Max Power 12" BassLine Series Single 4 ohm Car Subwoofer - 1 PC..
Alpine W12S4-2PCS 750 Watts Max Power 12" BassLine Series Single 4 ohm Car Subwoofer - 2 PCS..
Alpine W12S4-Bundle Two Alpine W12S4 Exclusive Subwoofer Bundle..
Alpine W12S4-Bundle Alpine W12S4 (2x) + Crunch PD1500.1 + Ground Shaker SQ212 - Exclusive Bass Package..
Alpine W960HDMI-SXE-1750S-6 Alpine INE-W960HDMI 6.1" Navigation CD DVD Bluetooth Car Receiver + SXE-1750S 280W 6.5" Type-E Series Component 2-Way Speaker + SXE-6925S 90W 6x9" 2-Way Type-E Series Coaxial Speakers - EXCLUSIVE HEAT WAVE PACKAGE..
Alpine X-A70F X-Series 700 Watts Class D 4/3/2 Channel Power Density Amplifier..
Alpine X-A70F-Bundle Alpine X-A70F + Alpine X-S69C + Alpine X-S65 Exclusive Amplifier Bundle..
Alpine X-A70F-Bundle2 Alpine X-A70F + Two Alpine X-S65 Exclusive Speaker Bundle..
Alpine X-A70F-Bundle3 Alpine X-A70F + Alpine X-S65C + Alpine X-S65 Exclusive Amplifier Bundle..
Alpine X-A70F-Bundle4 Alpine X-A70F + Alpine X-S69C + Alpine X-S65C Exclusive Amplifier Bundle..
Alpine X-A90M 900 Watts Total Power Output X-Series Class-D Monoblock 2 ohm Stable Amplifier..
Alpine X-A90M-Bundle Alpine X-A90M + Two Alpine X-W12D4 Exclusive Bass Package..
Alpine X-A90M-Bundle2 Alpine X-A90M + Two Alpine X-W10D4 Exclusive Bass Package..
Alpine X-A90V X-Series 900 Watts Total Power Output Class-D 5-Channel 2 Ohm Stable Amplifier..
Alpine X-S65 X-Series 330 Watts Peak Power Coaxial Car Speakers..
Alpine X-S65-Bundle Two Alpine X-S65 Exclusive Speaker Bundle..
Alpine X-S65C 720 Watts Max Power 6.5" X-Series 2-Way Component Car Speakers..
Alpine X-S65C-Bundle Alpine X-S65C + Alpine X-S65 Exclusive Speaker Bundle..
Alpine X-S65C-Bundle2 Alpine X-S65C + Alpine X-S69C Exclusive Speaker Bundle..
Alpine X-S69C 720 Watts Max Power 6" x 9" X-Type 2-Way Component Car Speakers..
Alpine X-S69C-Bundle Alpine X-S69C + Alpine X-S65 Exclusive Speaker Bundle..
Alpine X-W10D4 X-Series 10" 2700 watts Peak Power Dual 4-Ohm Mobile Subwoofer (1 pc)..
Alpine X-W12D4 2700 Watts Max Power 12" X-Series Dual 4 Ohm Car Subwoofer..
Alpine X-W12D4-Bundle Two Alpine X-W12D4 Exclusive Subwoofer Bundle..
Alpine XA90M-PKG Alpine X-A90M 900 Watts 2-Ohm Class-D Monoblock Amplifier + Boss Audio CAP18 18 Farad Capacitor With Digital Voltage Display And Blue Illumination BUNDLE..